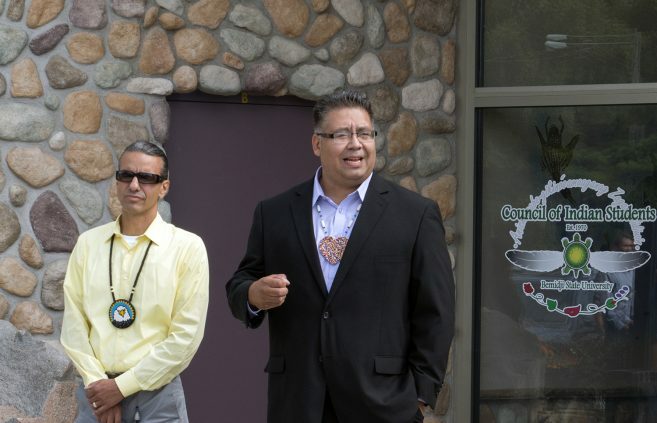 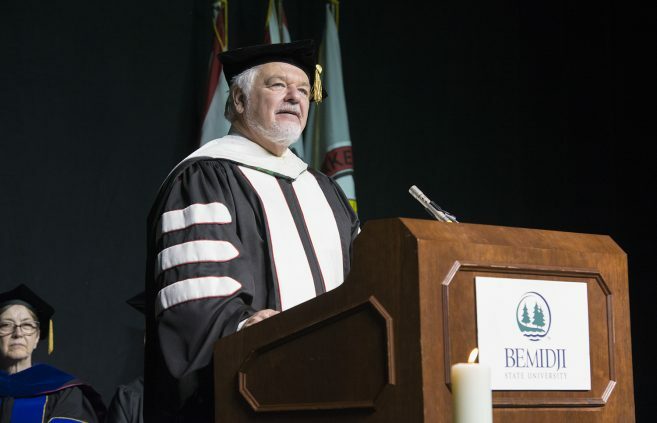 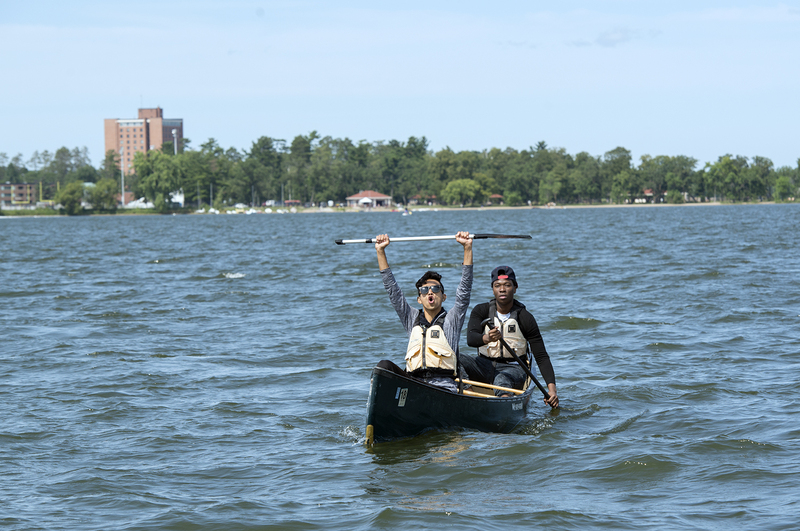 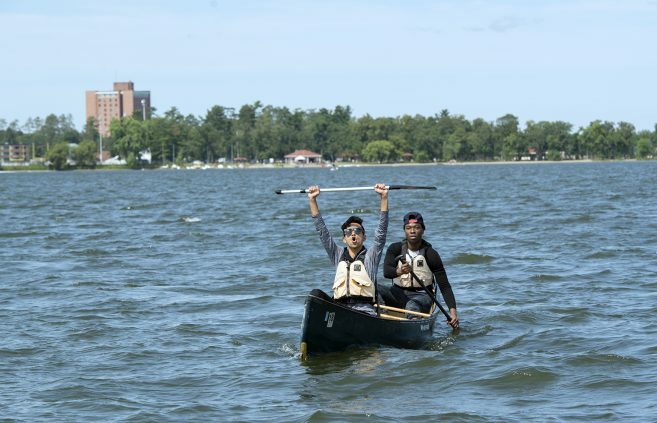 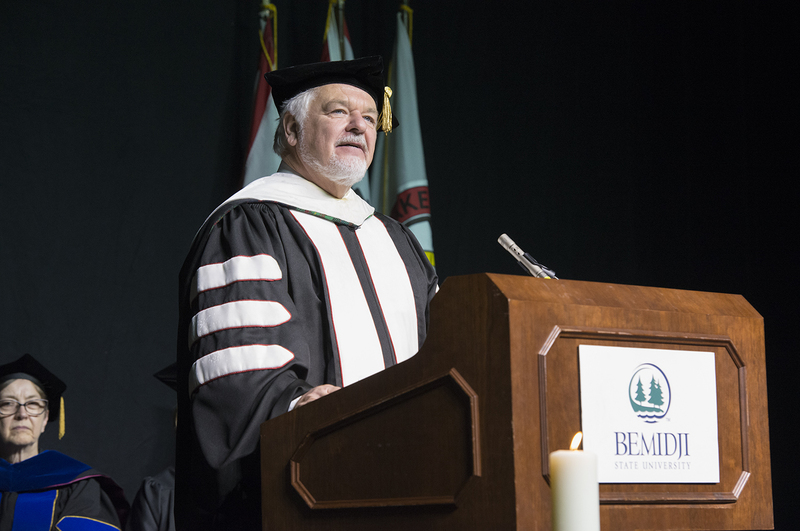 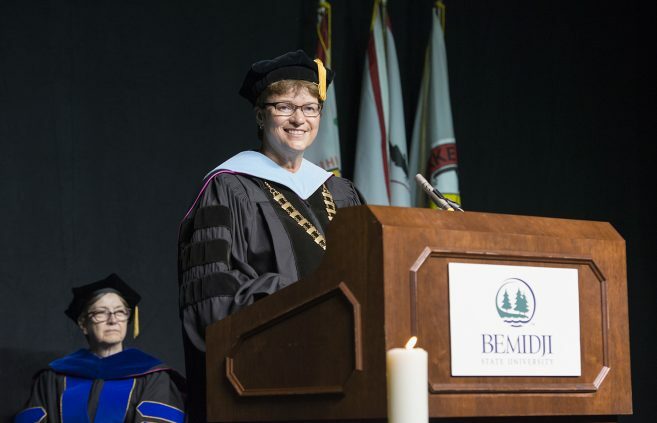 Bemidji State University will launch a new academic program in January 2018 that aims to bring indigenous knowledge and perspectives into the university’s sustainability efforts. 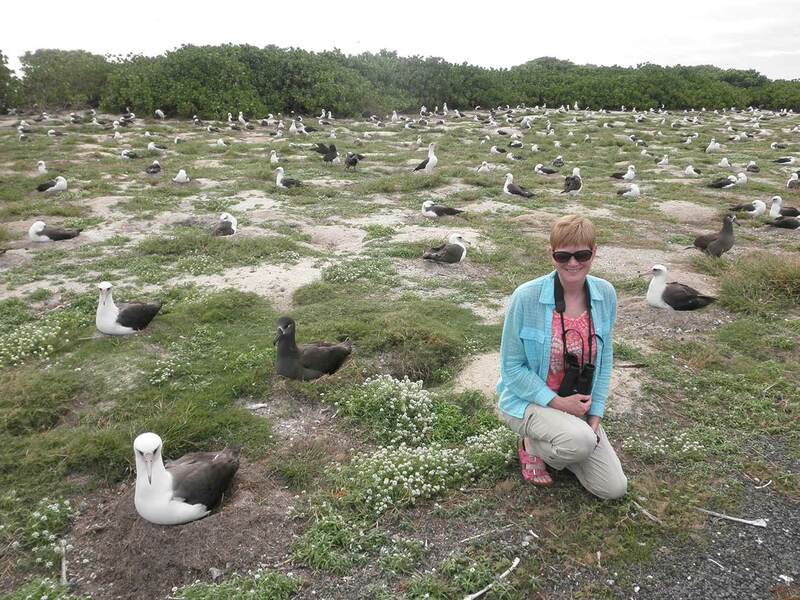 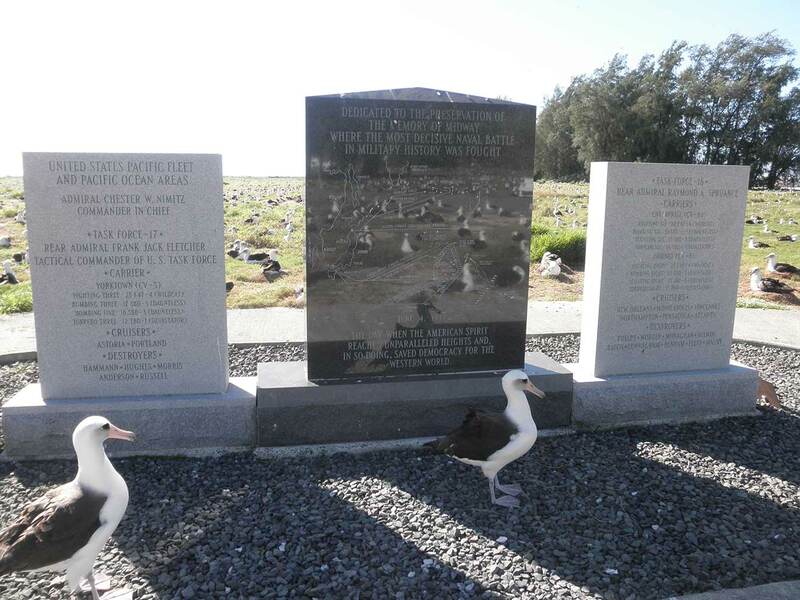 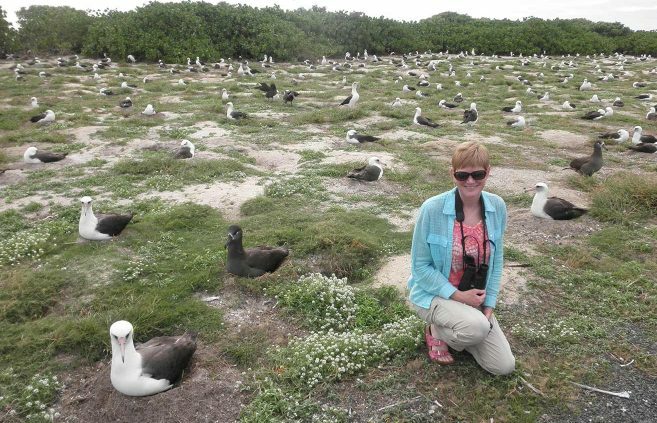 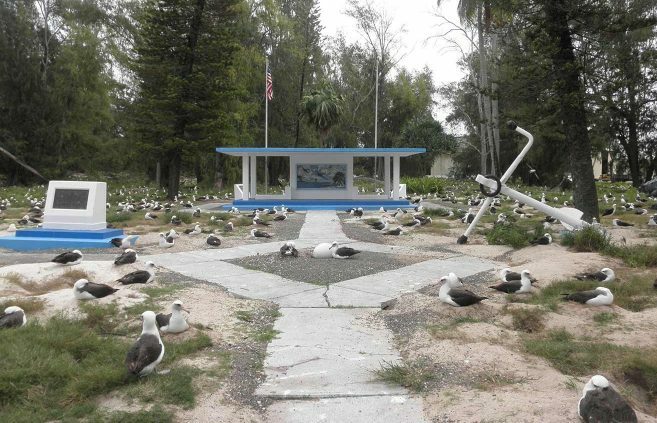 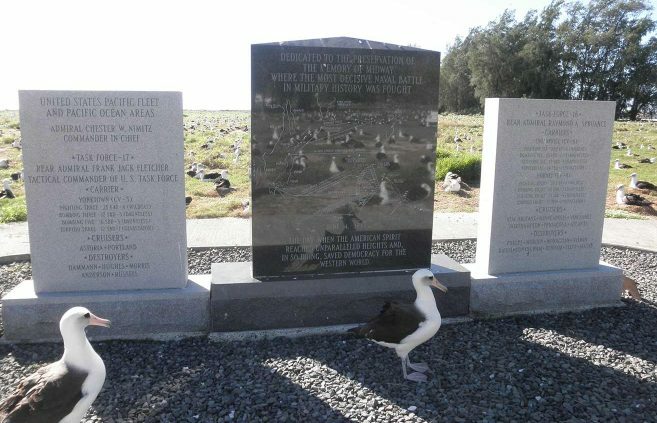 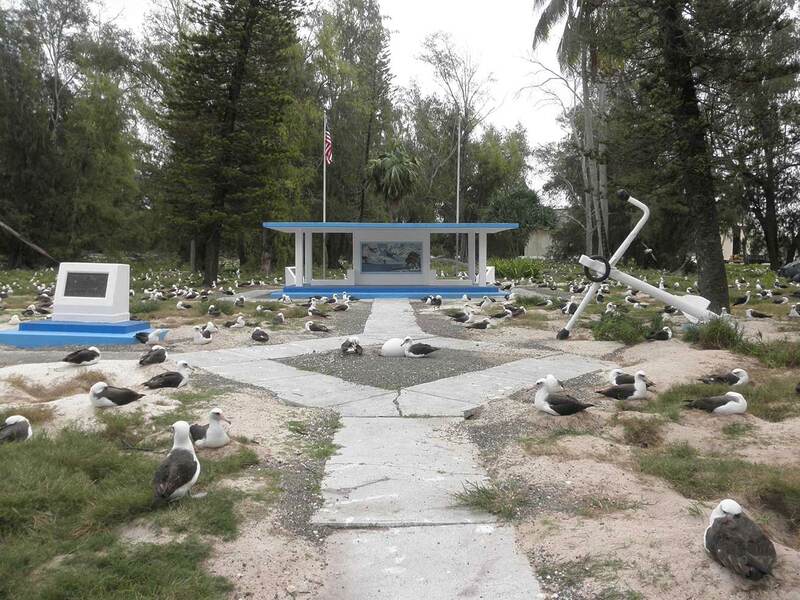 Dr. Elizabeth Rave, professor of biology at Bemidji State University, will open the Department of Biology’s annual lecture series Aug. 29 with a unique view of albatross populations on the remote Midway Atoll National Wildlife Refuge. 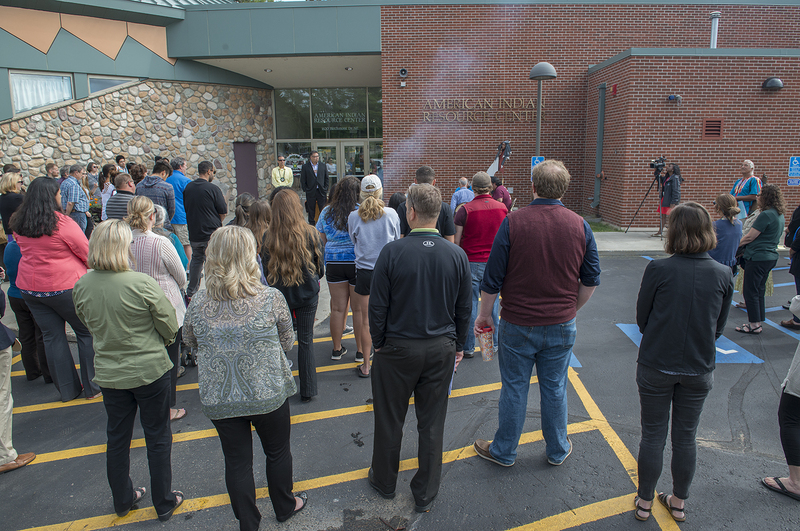 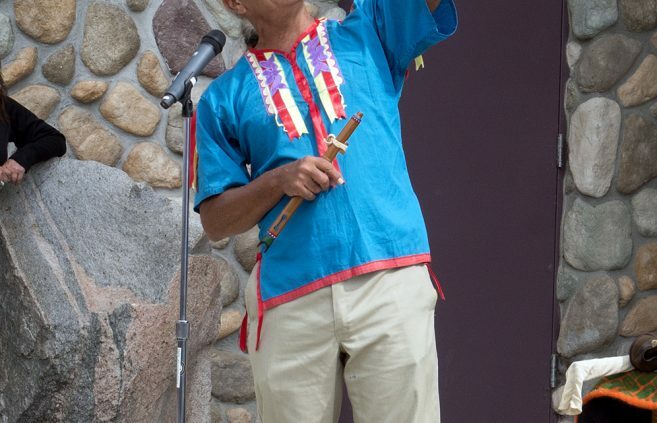 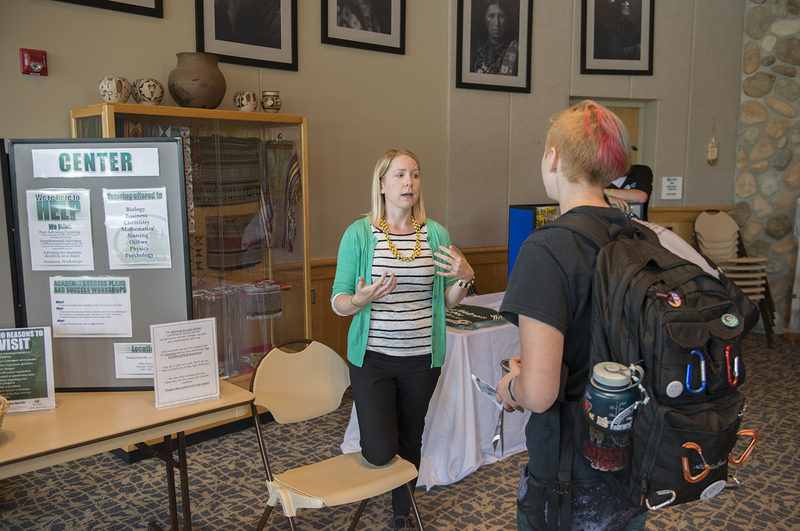 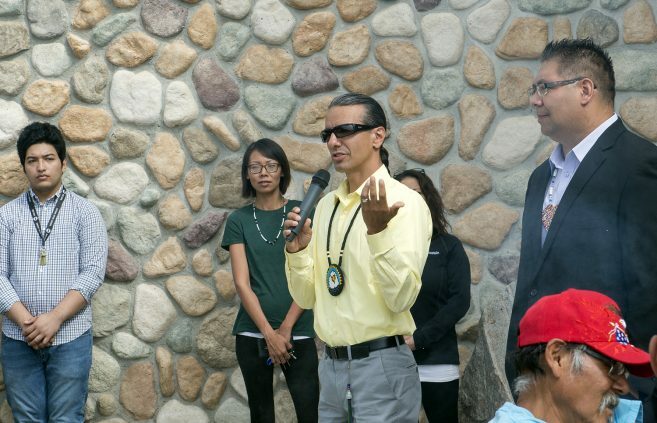 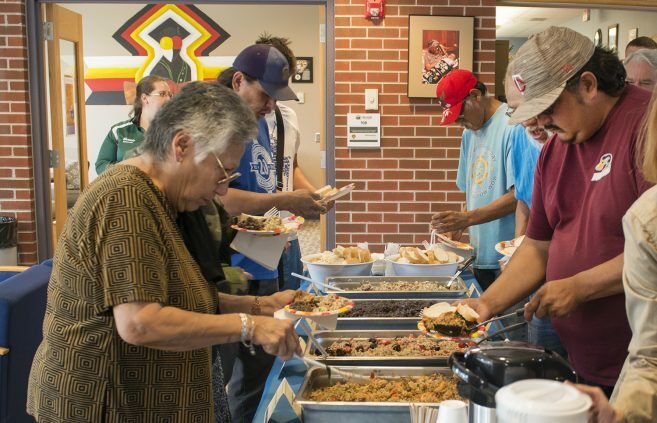 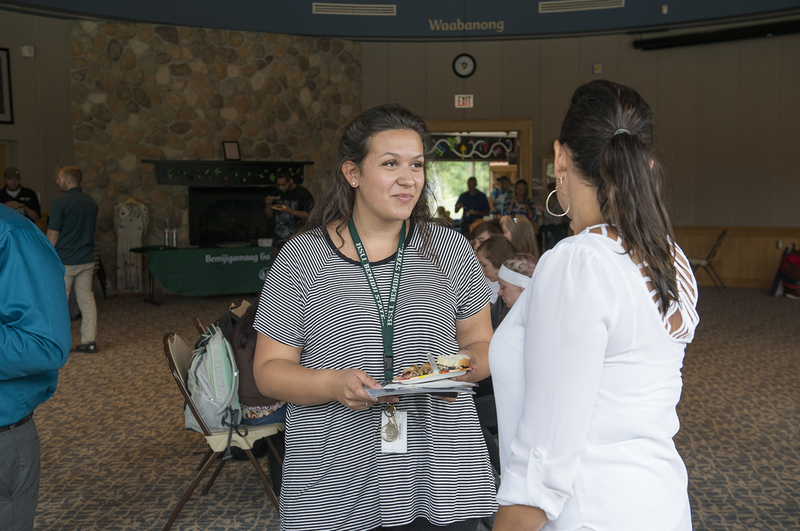 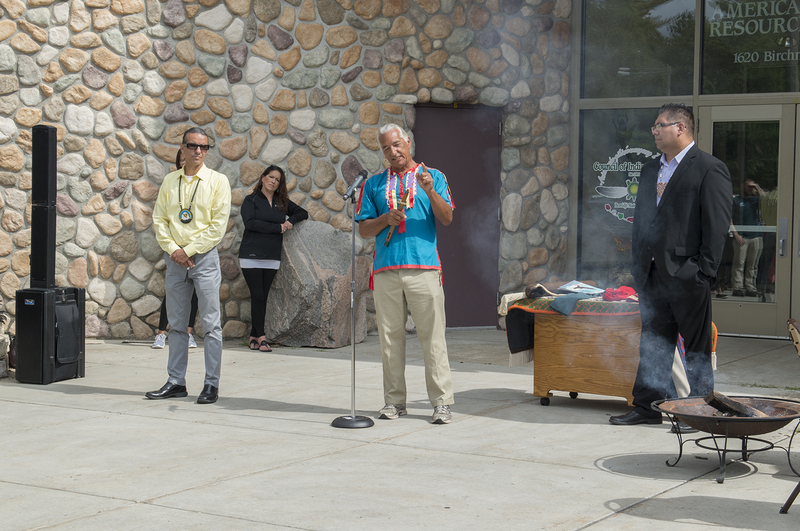 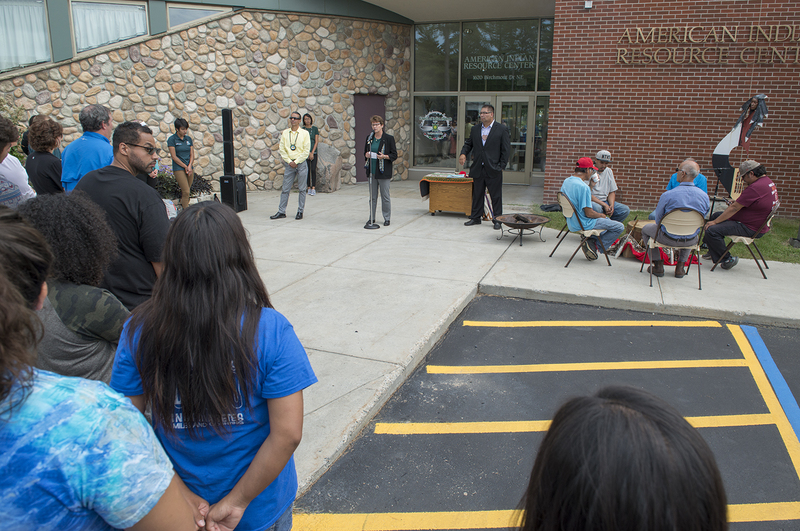 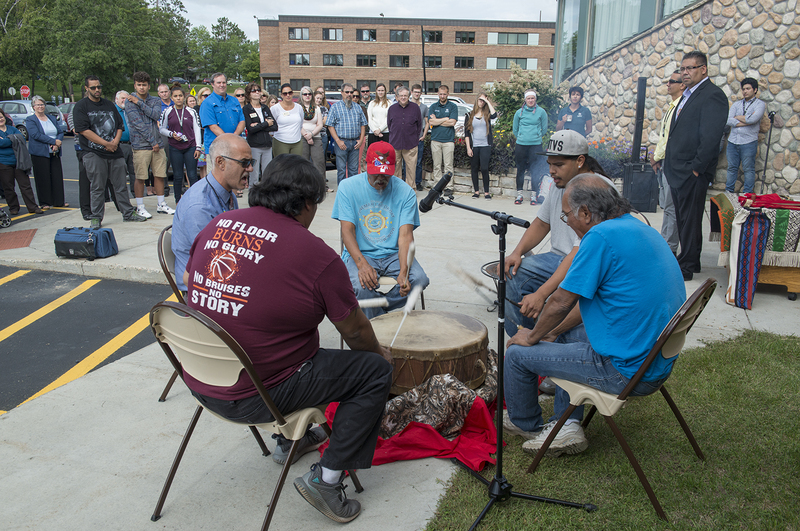 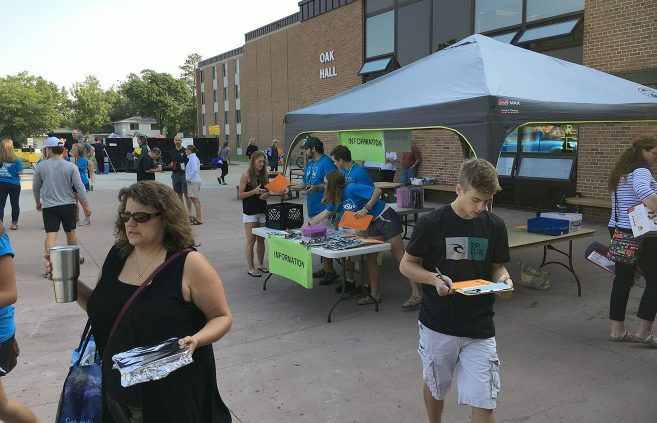 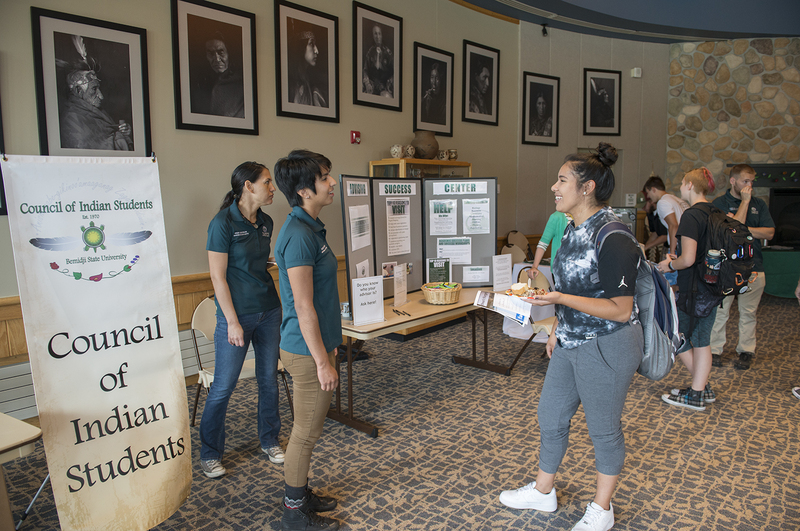 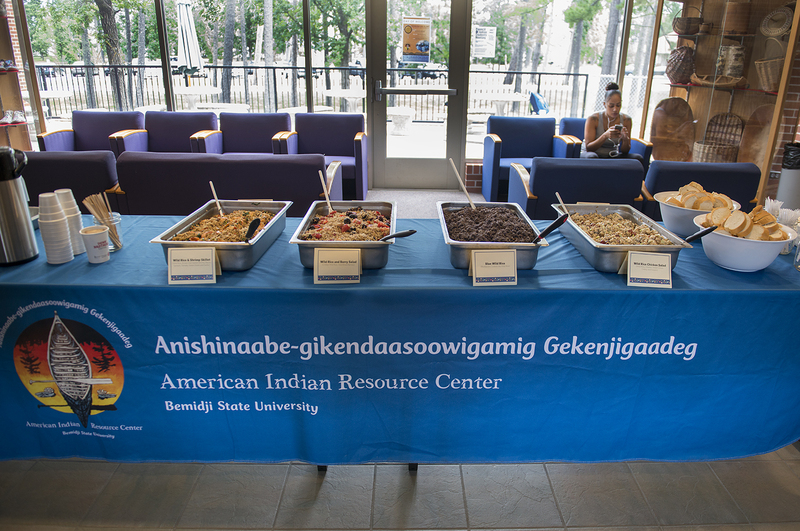 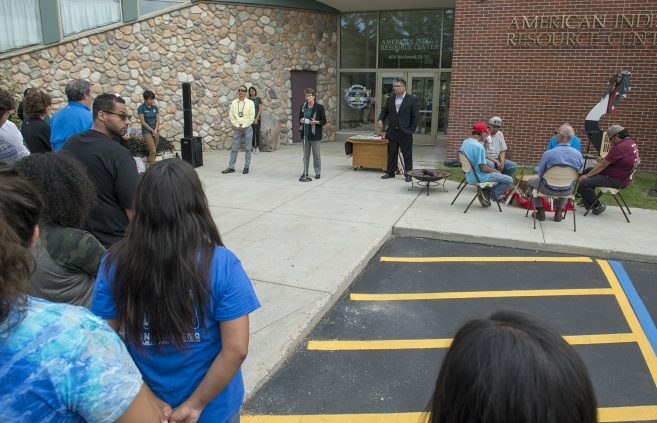 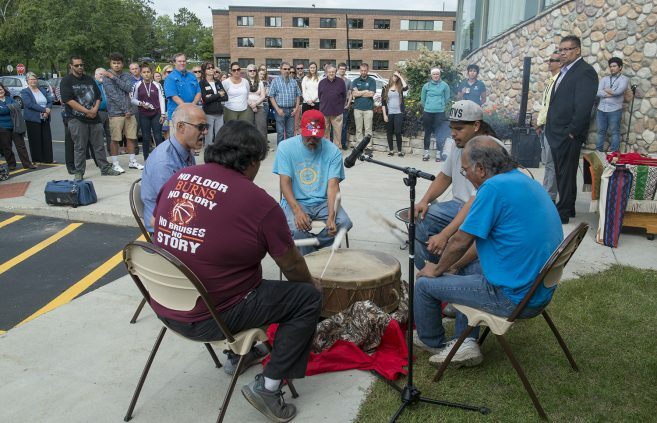 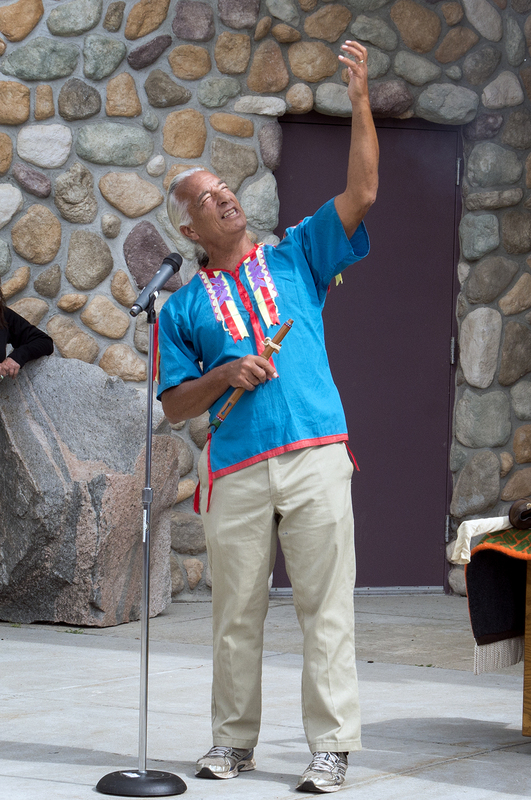 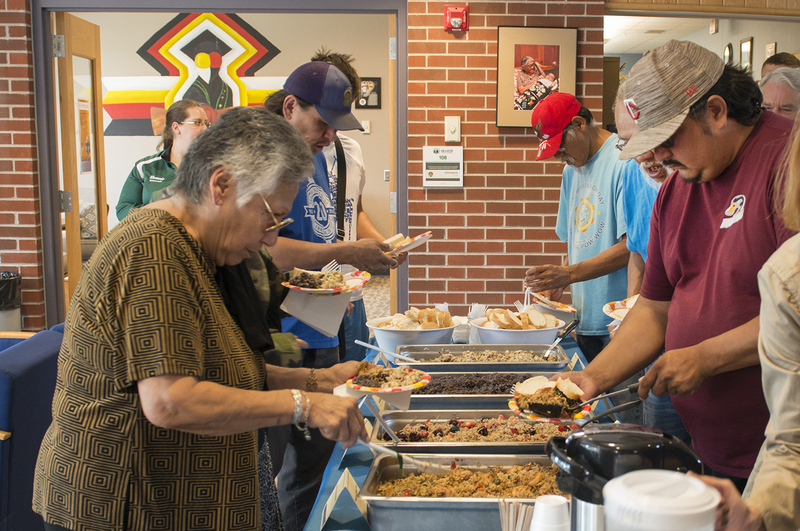 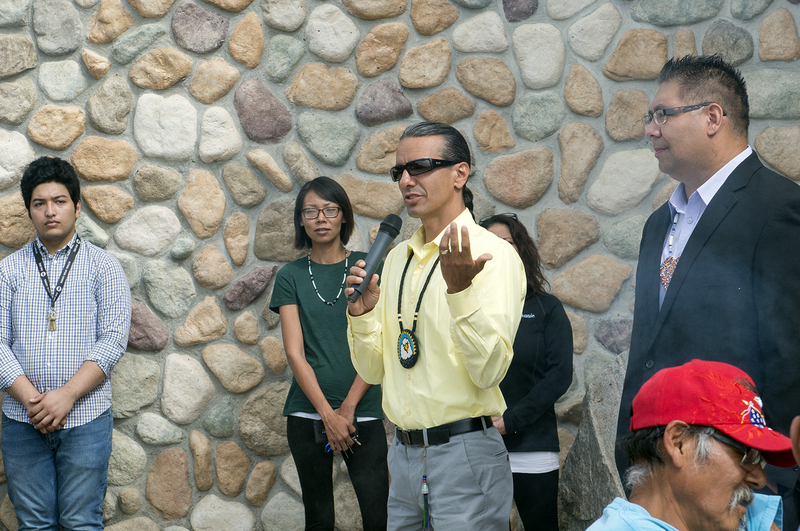 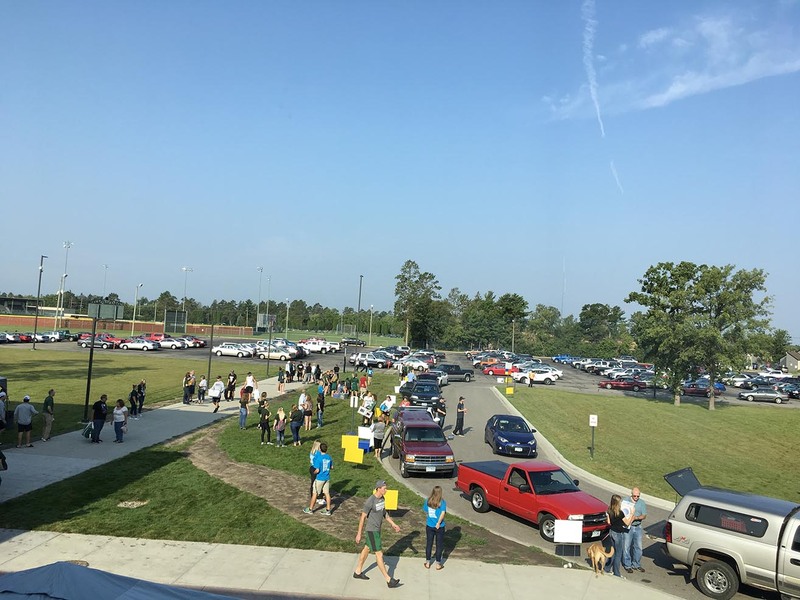 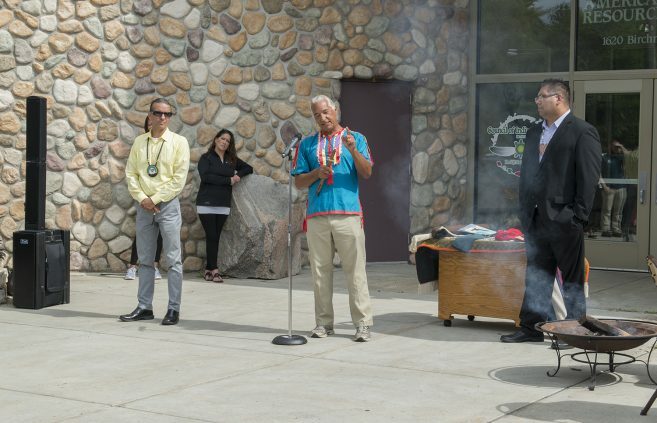 On Aug. 23, Bemidji State University’s American Indian Resource Center held its traditional Day of Welcome to open the fall semester. 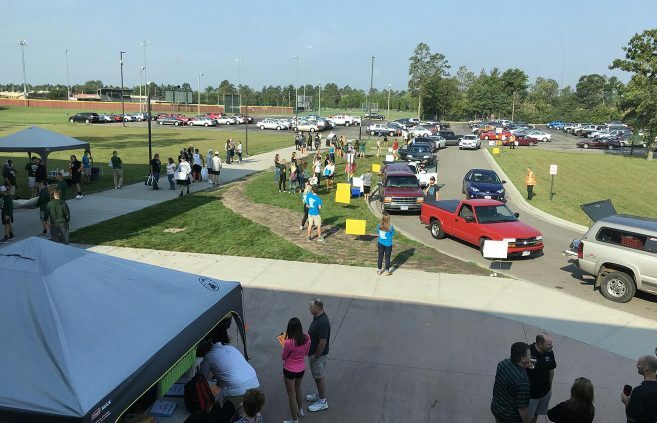 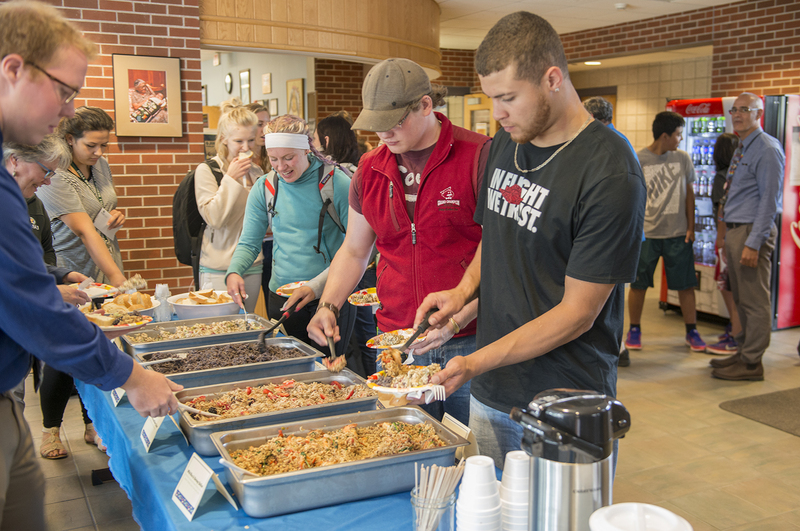 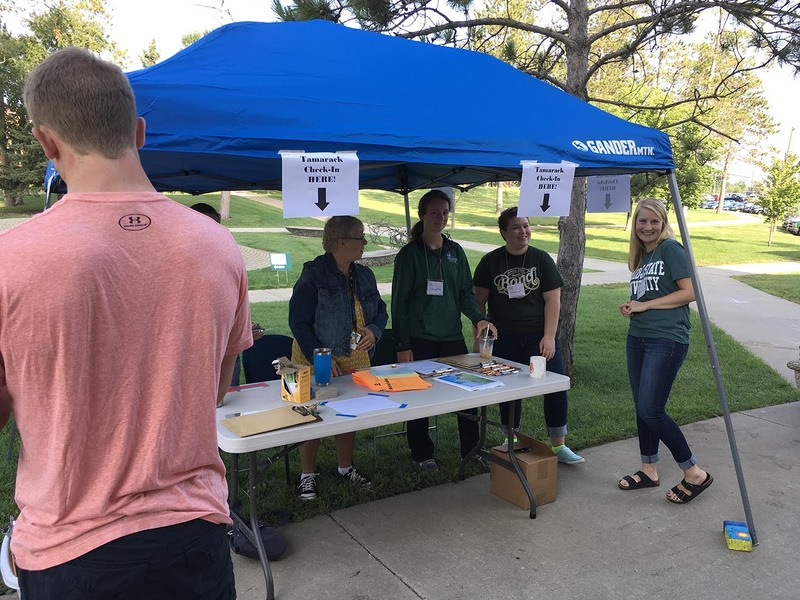 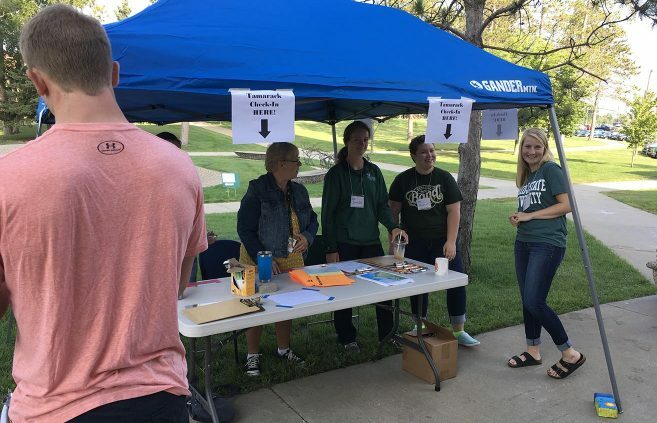 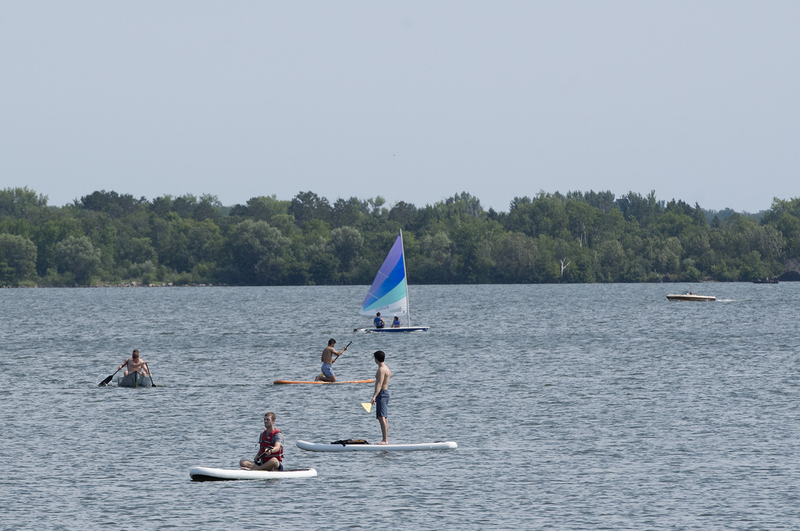 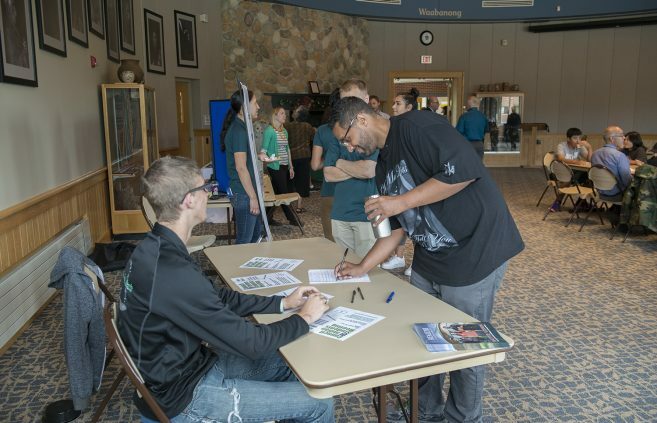 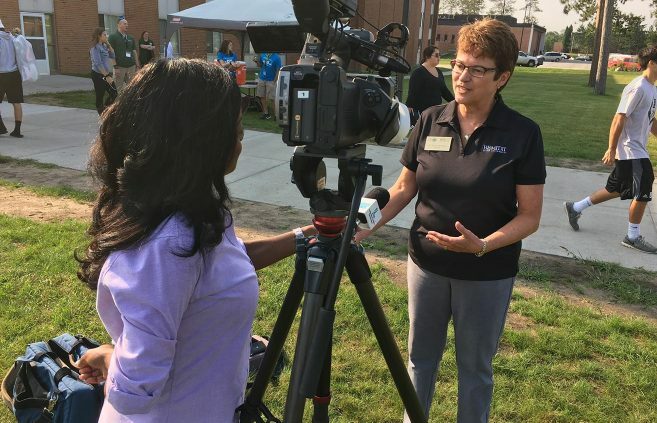 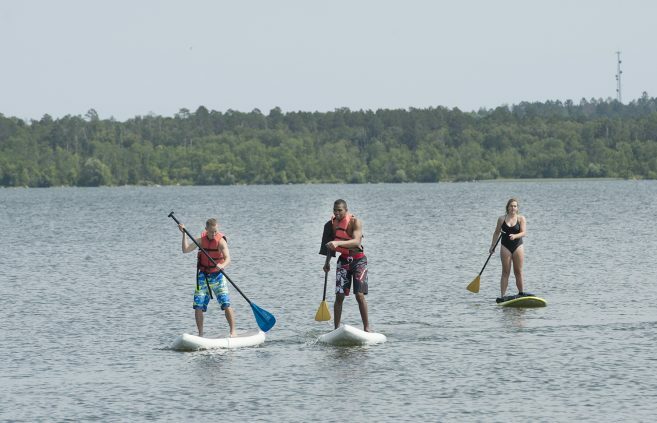 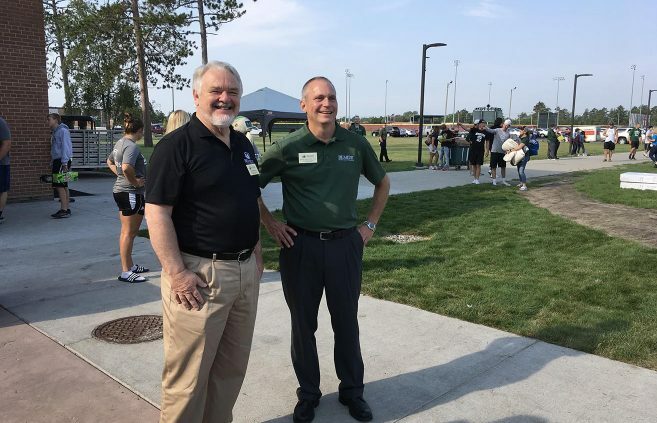 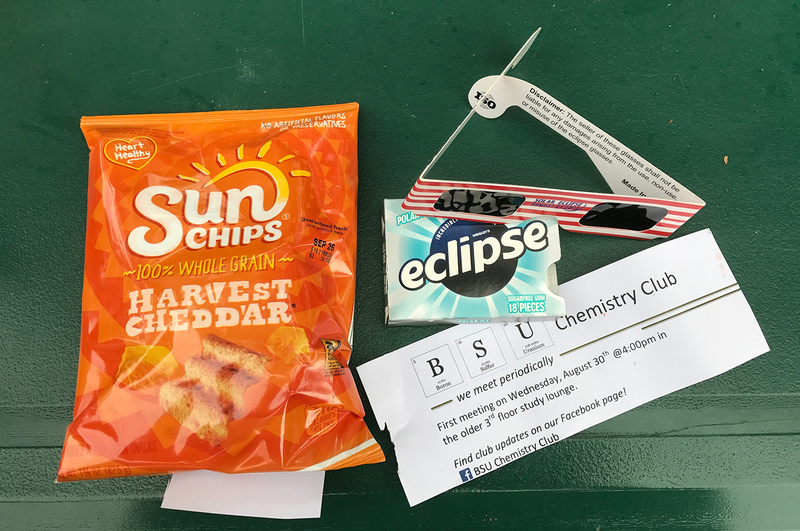 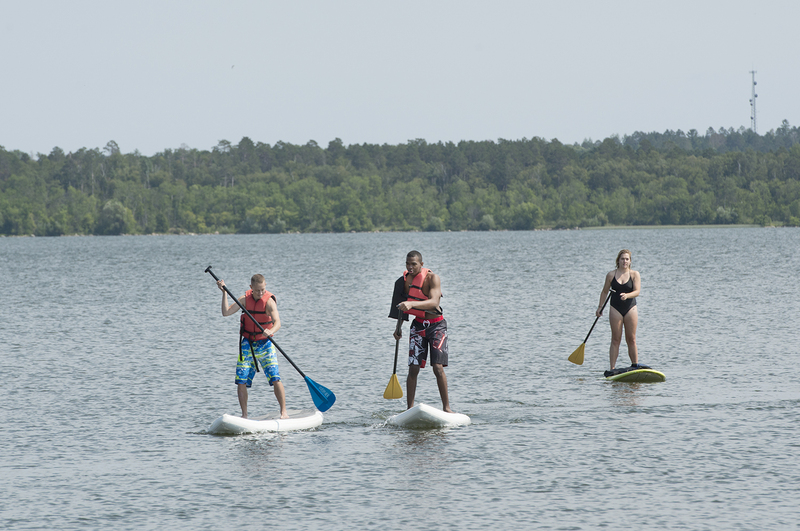 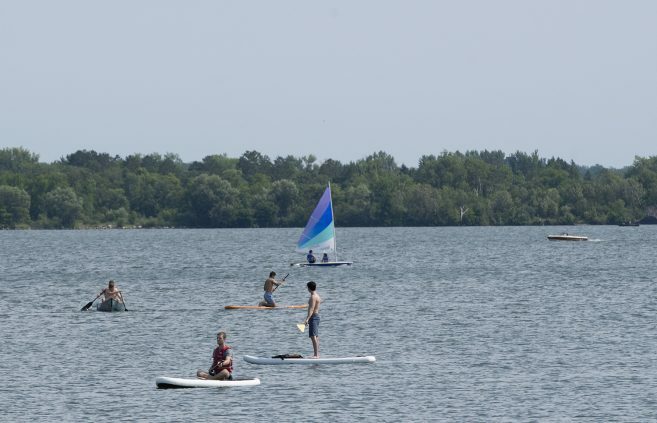 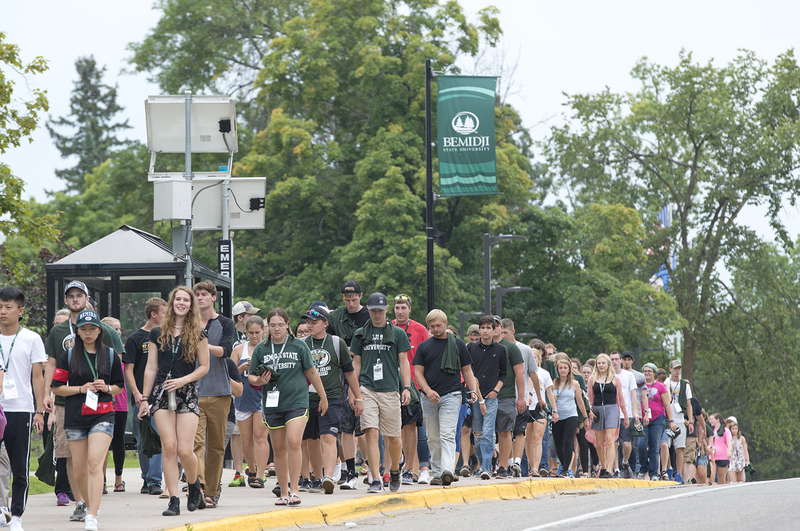 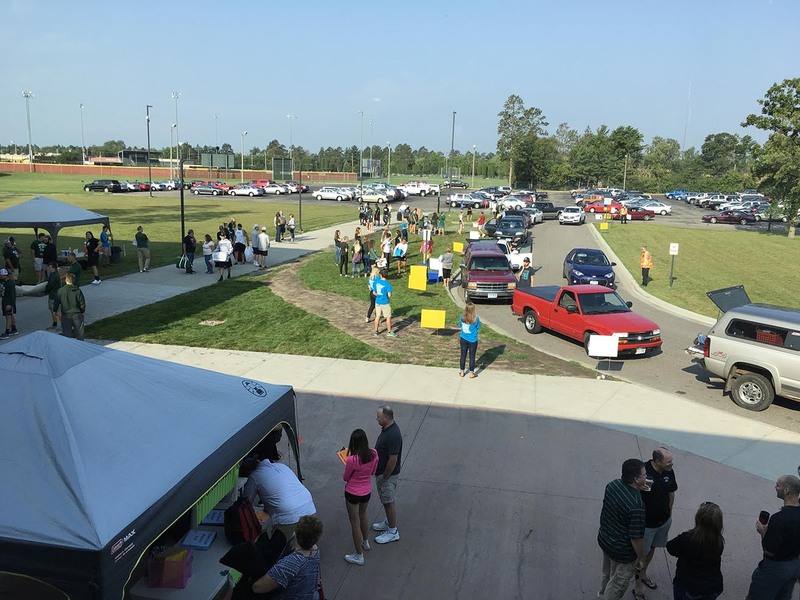 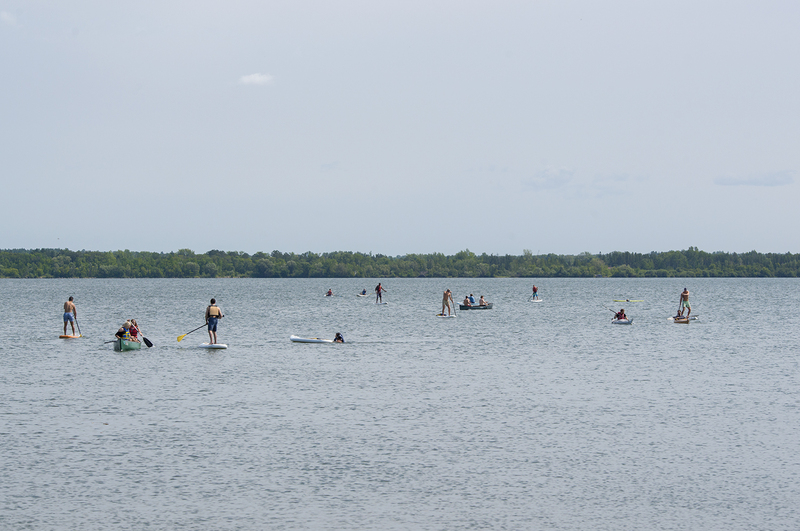 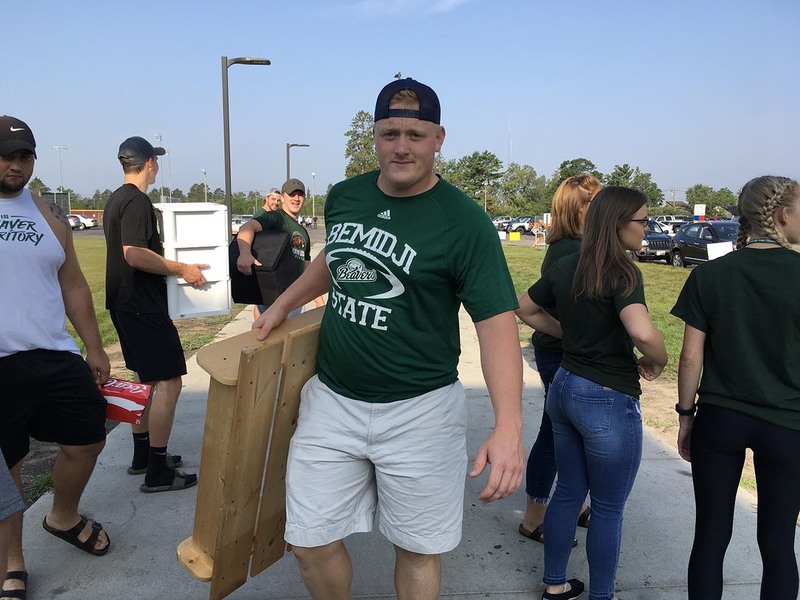 For the 12th year, Bemidji State University is opening its doors to the residents of Bemidji and the surrounding communities to thank them for their support through its annual Community Appreciation Day event. 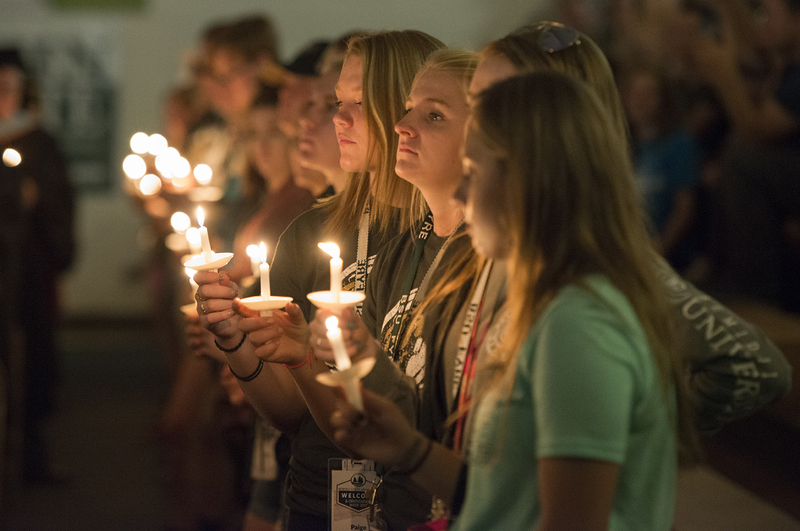 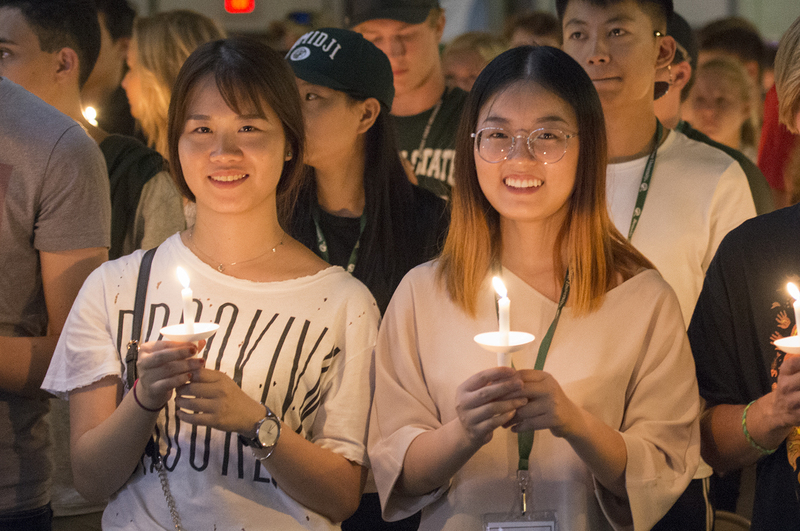 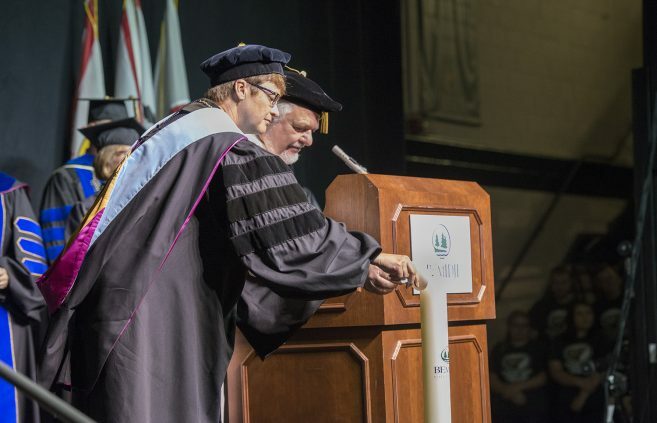 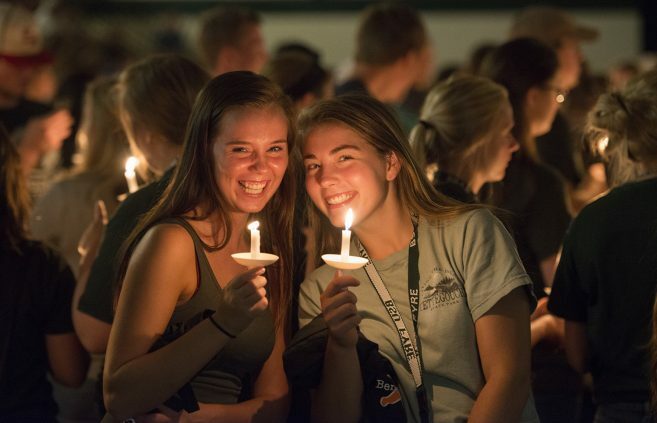 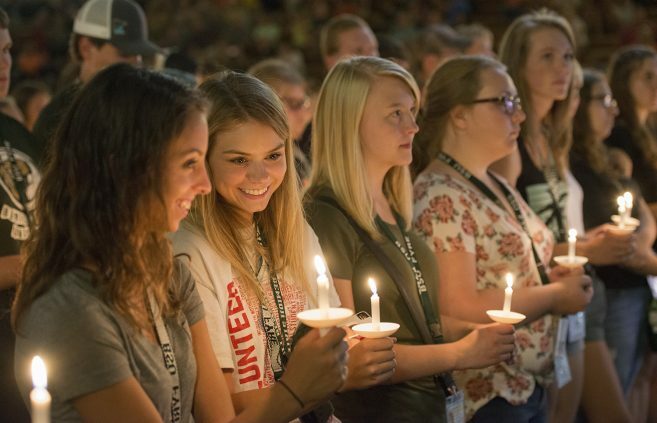 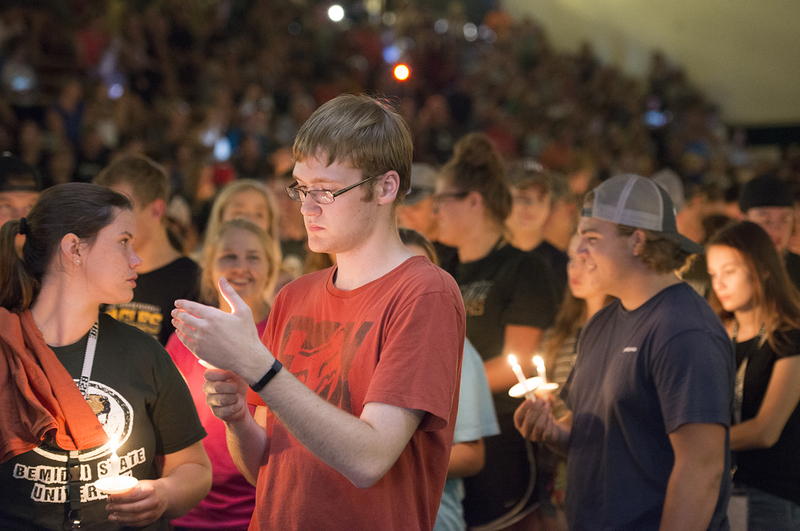 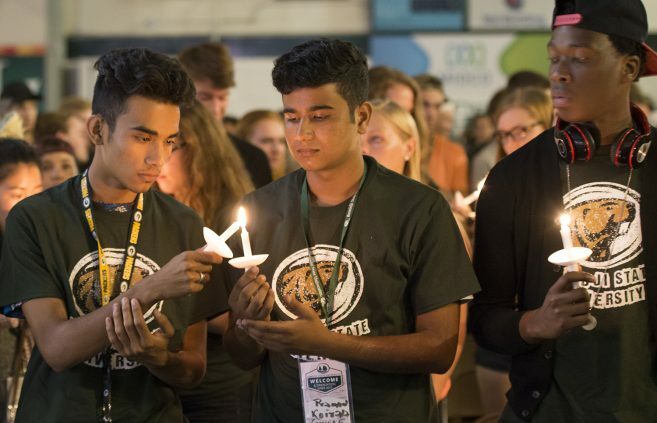 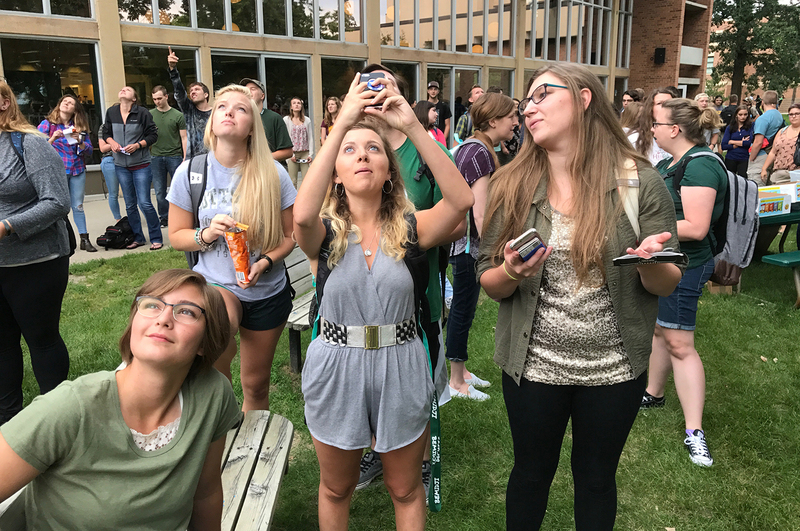 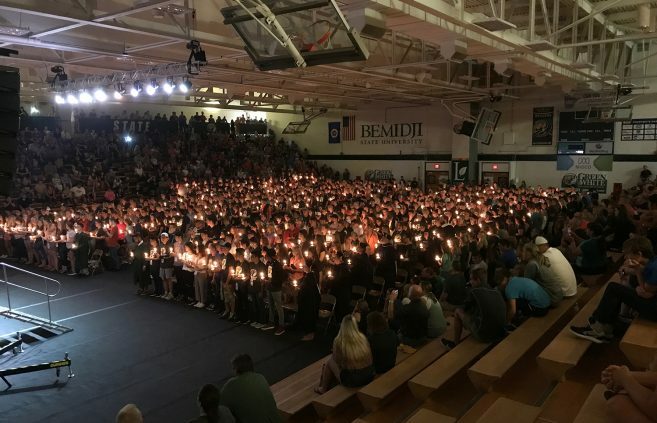 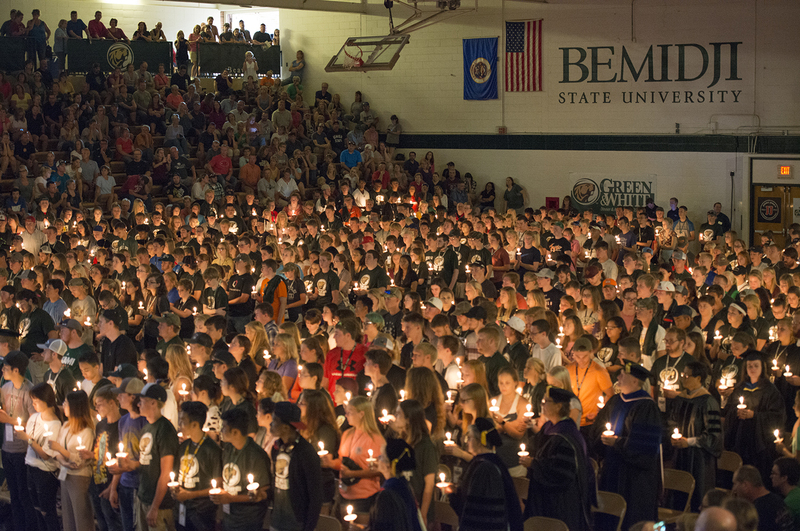 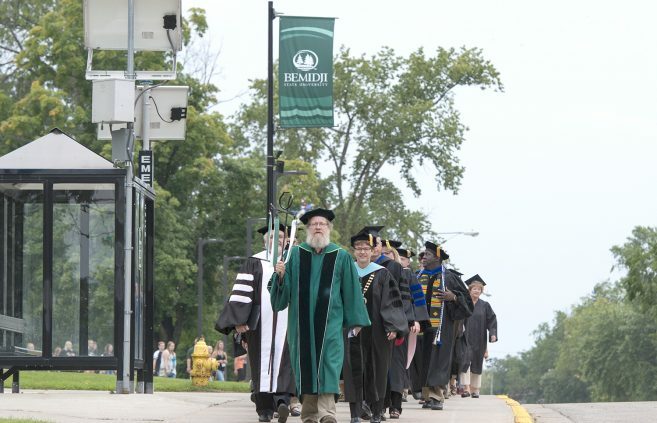 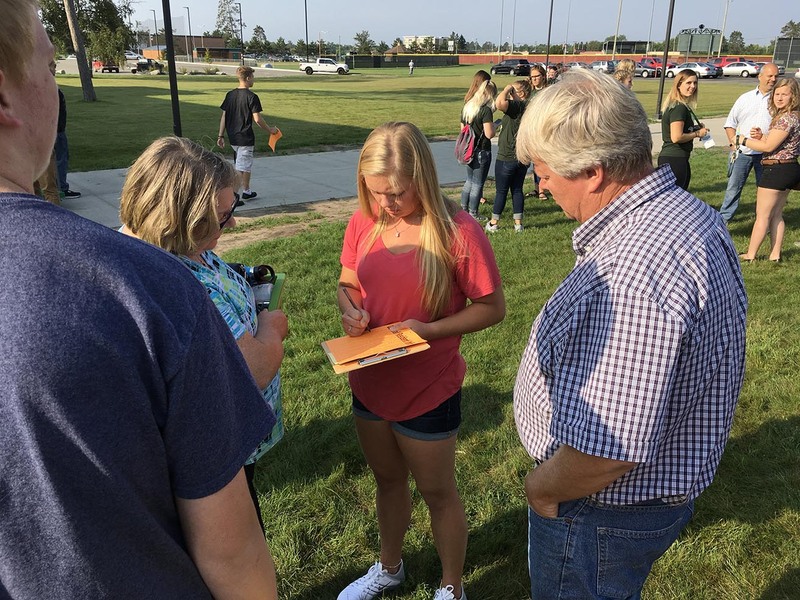 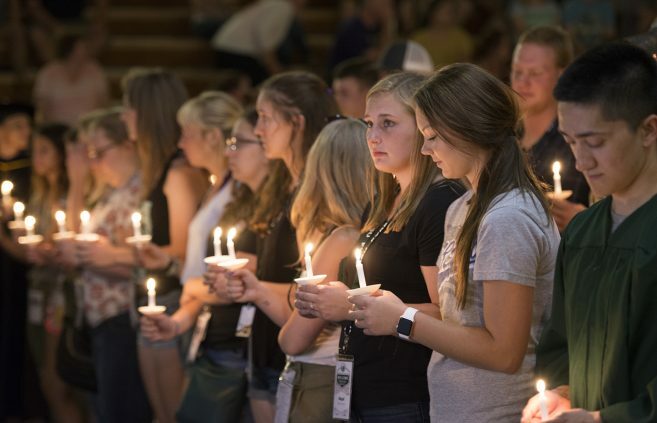 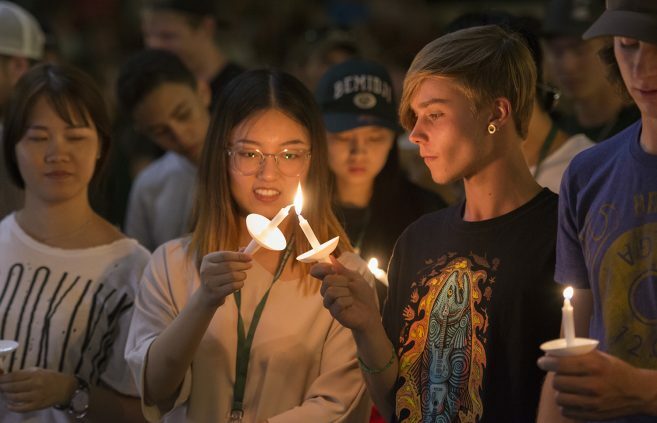 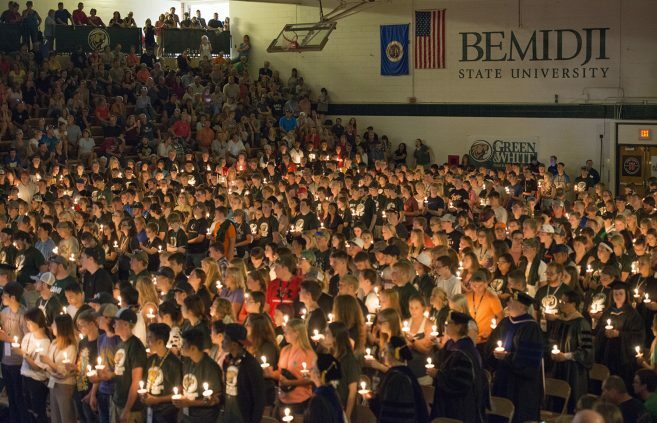 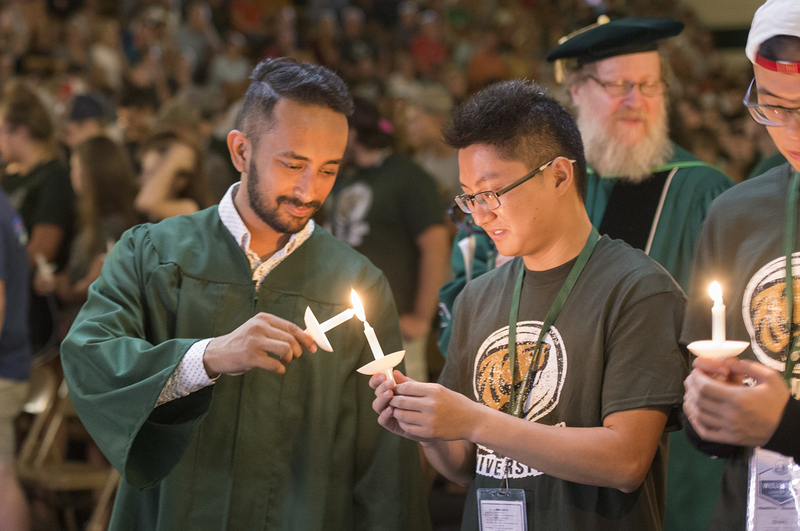 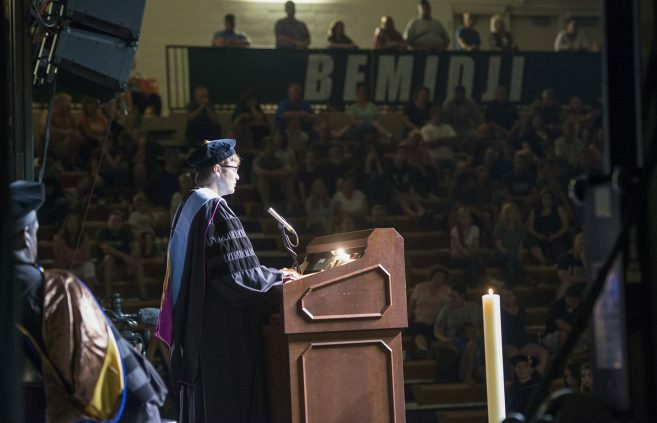 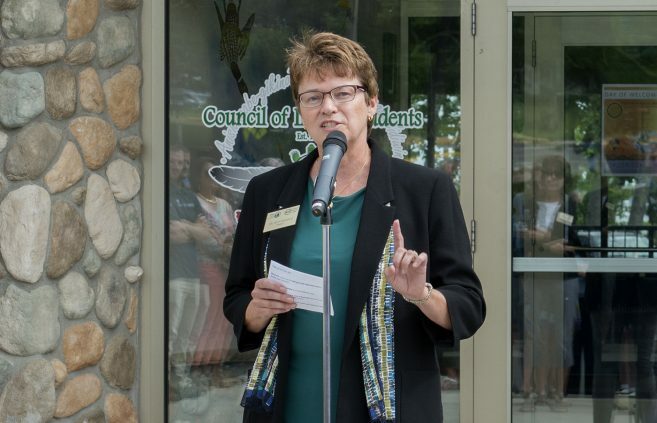 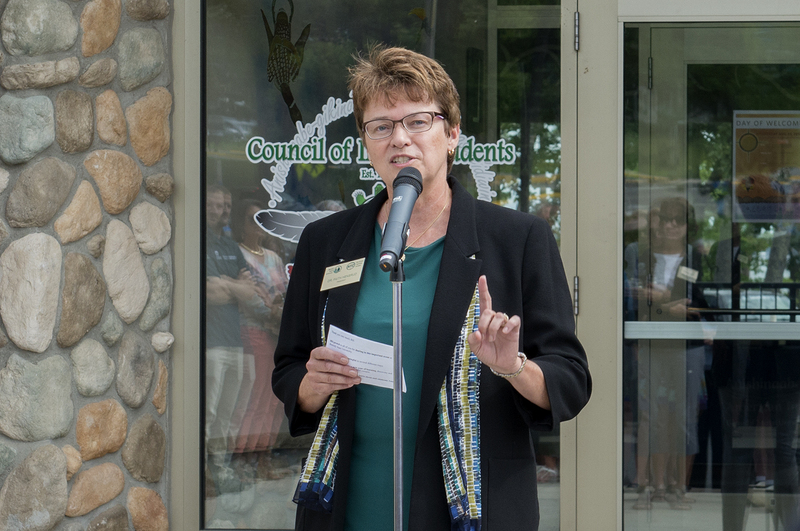 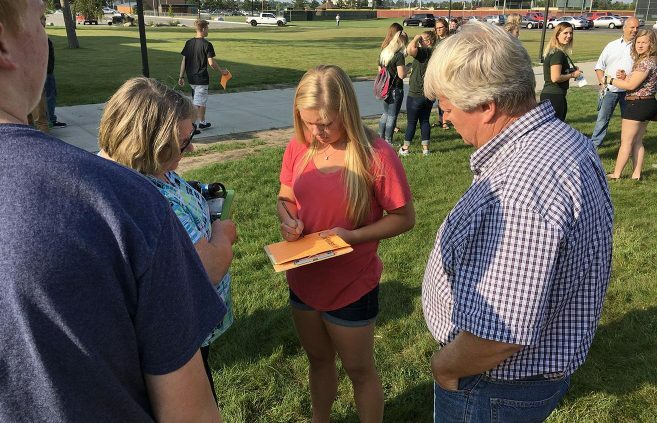 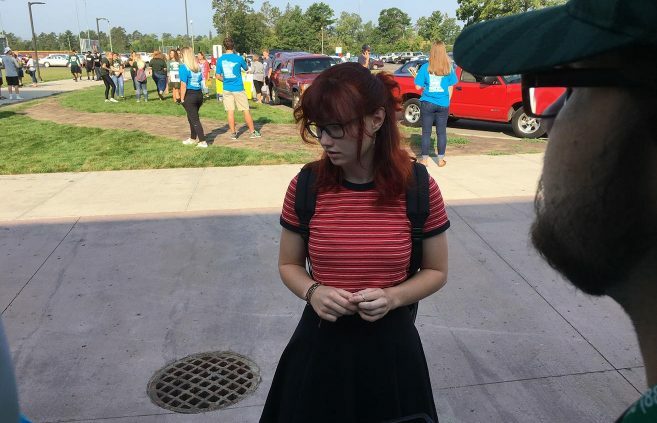 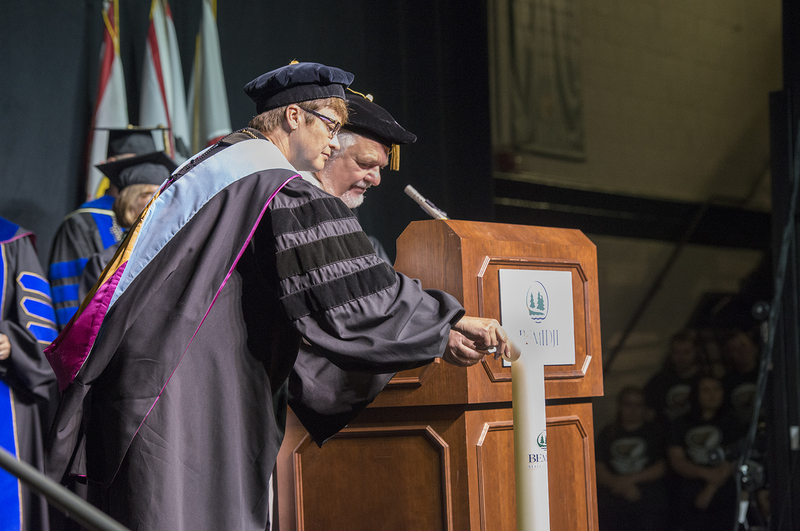 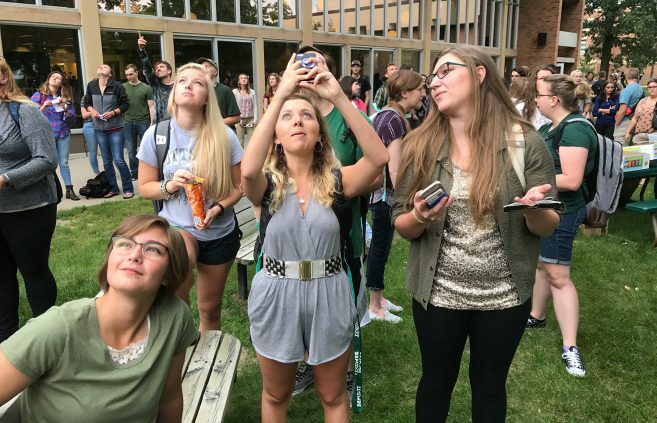 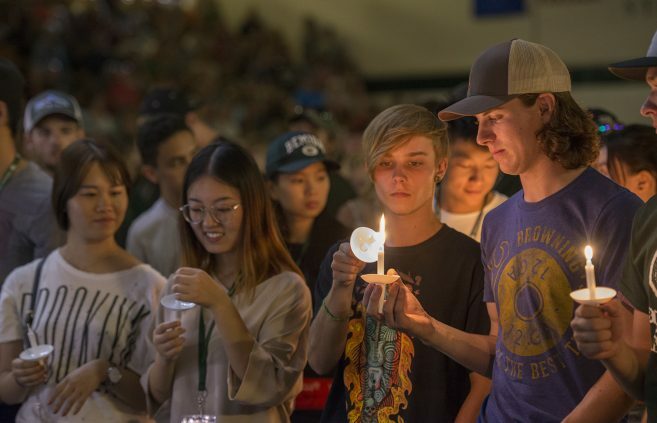 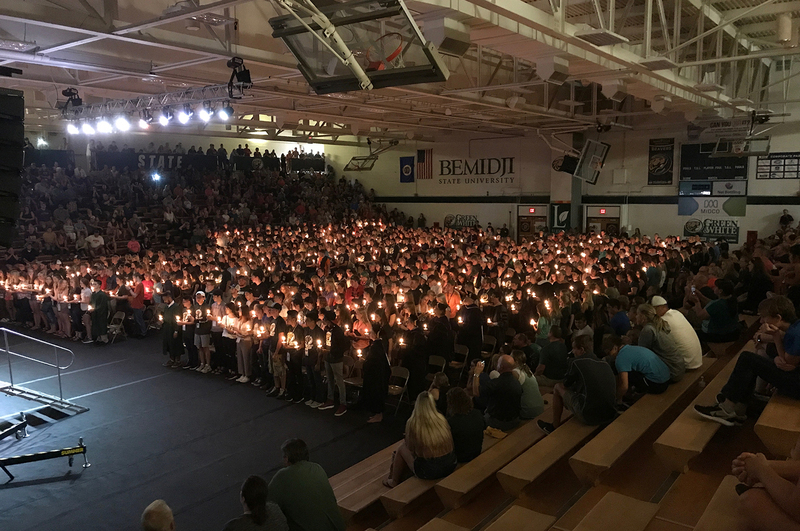 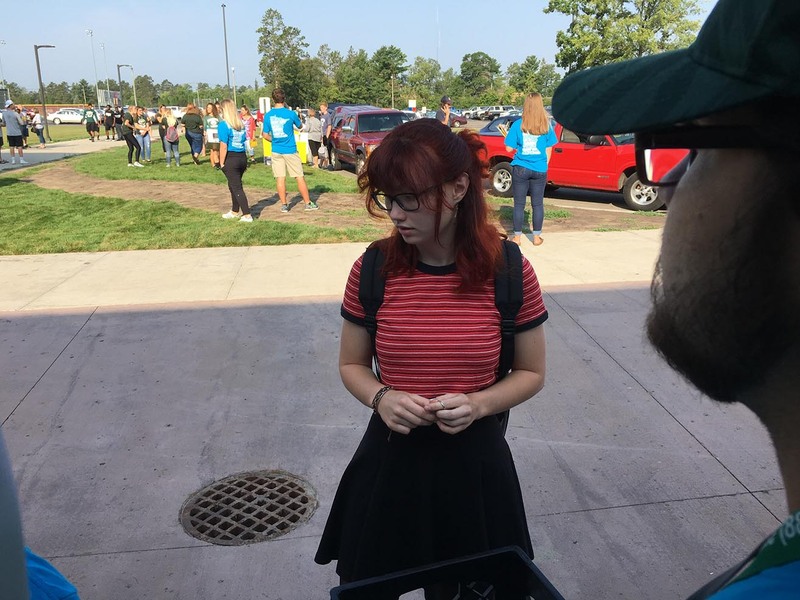 On Friday evening, after moving into their residence halls and absorbing a stream of advice about life at Bemidji State University, our new students paused for a candle lighting ceremony known as convocation. 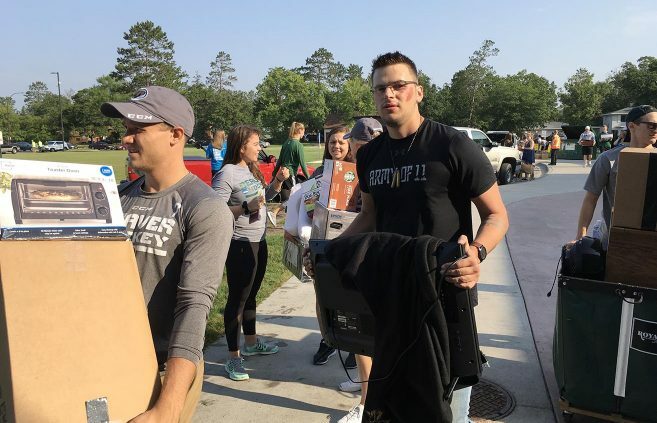 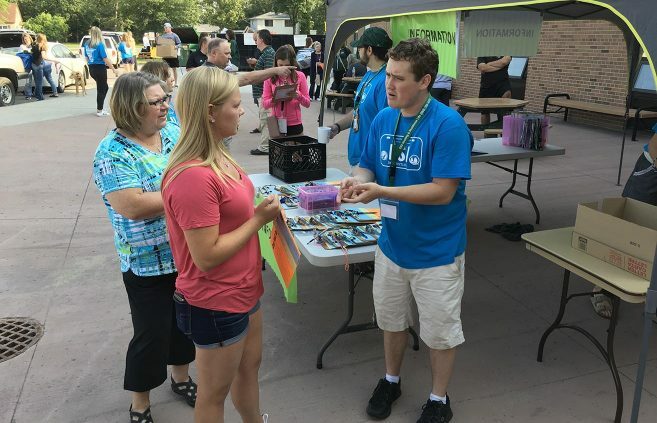 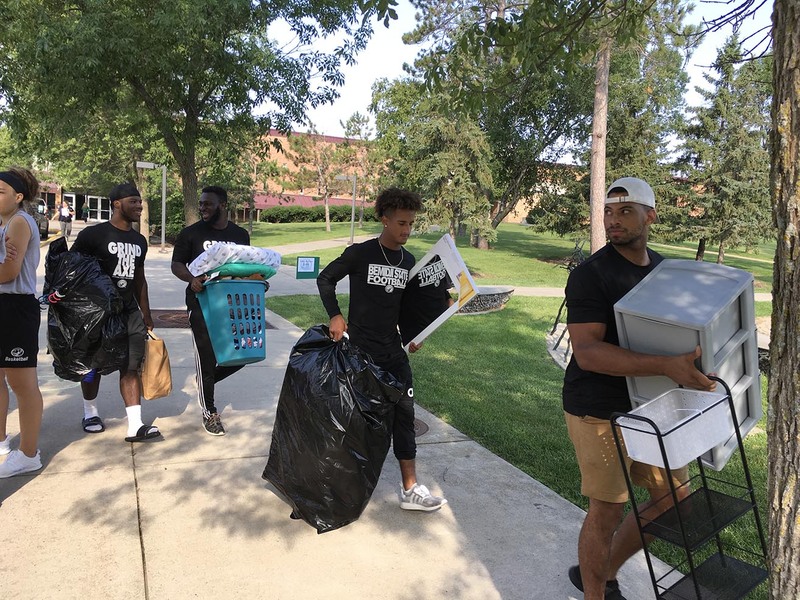 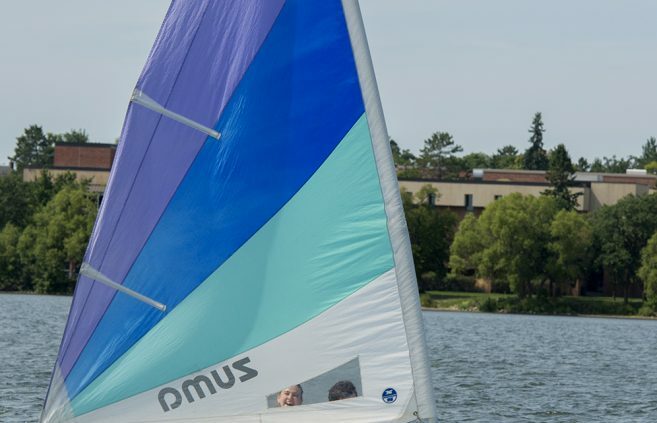 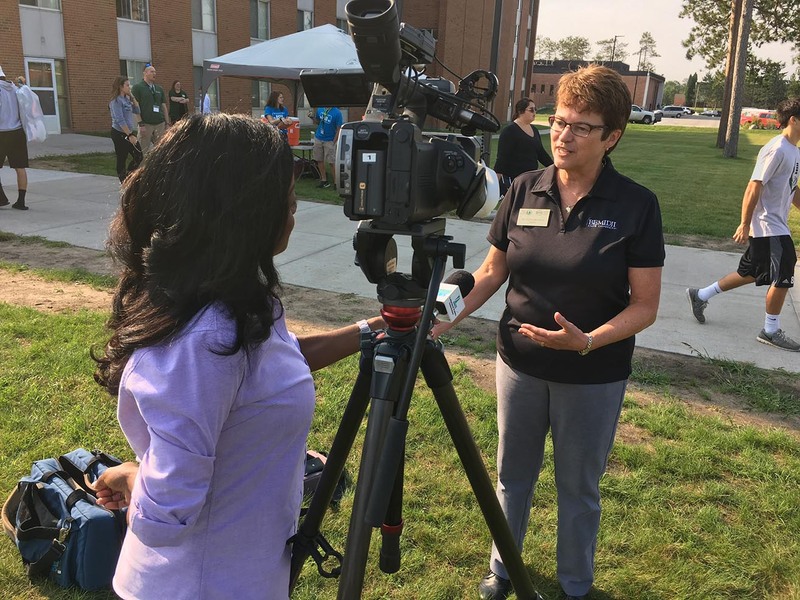 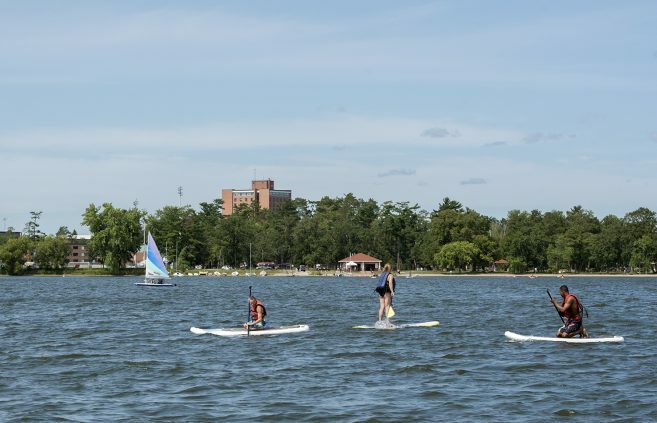 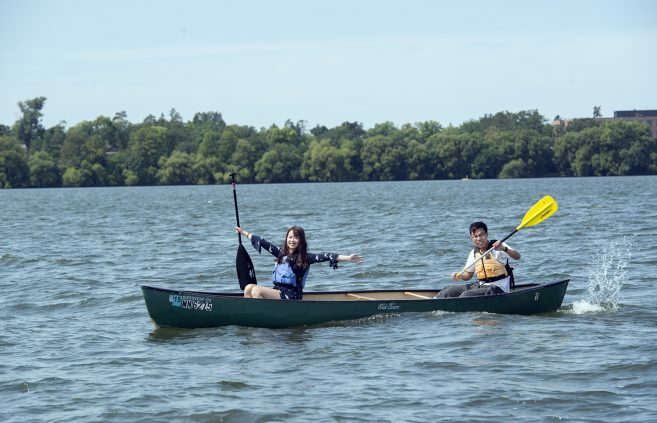 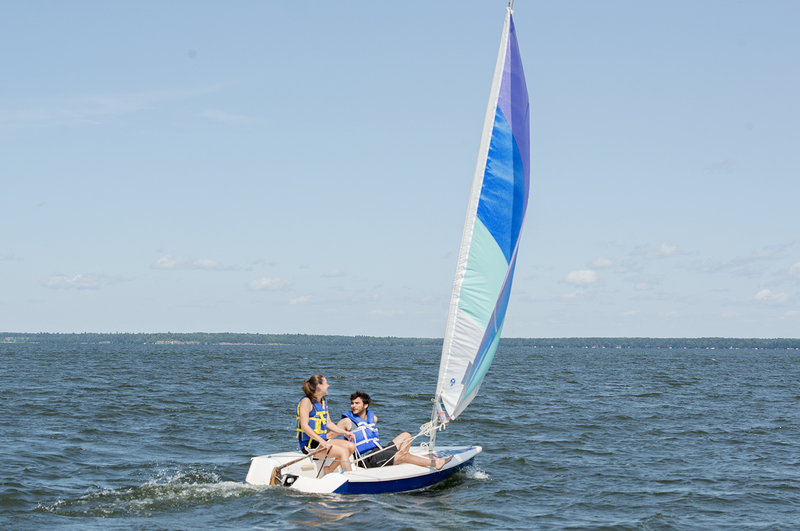 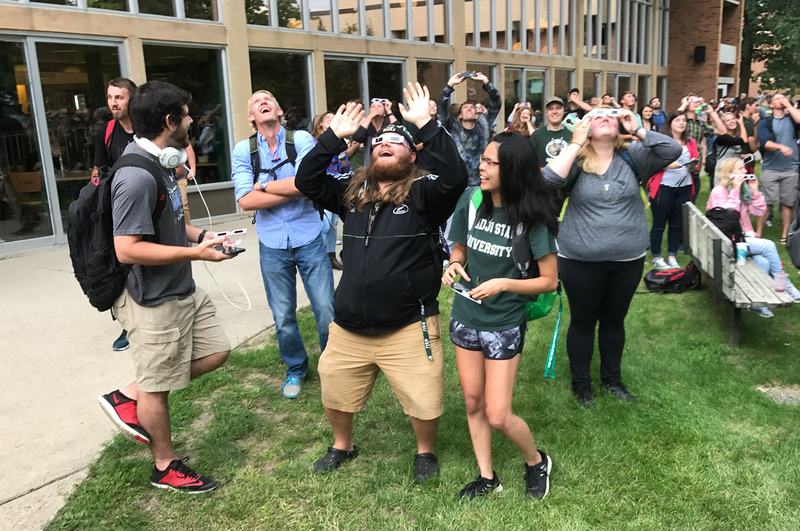 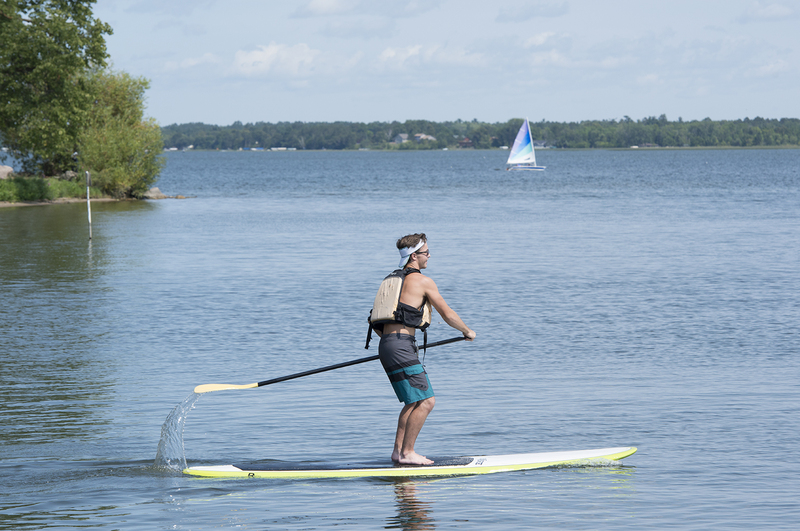 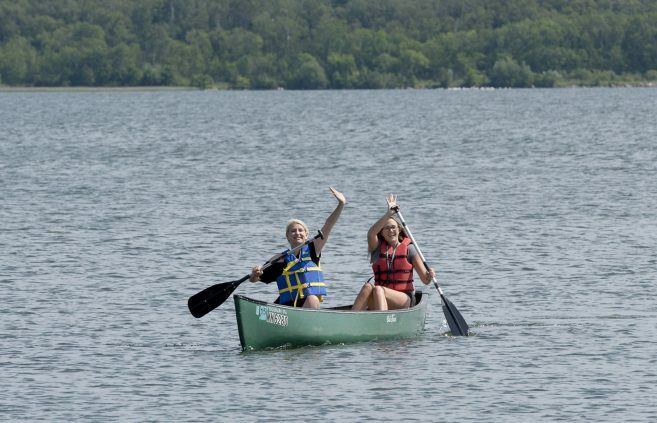 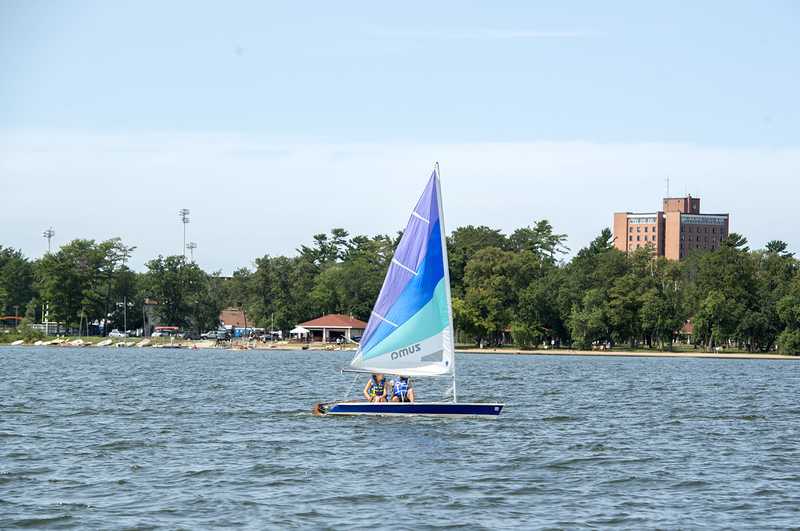 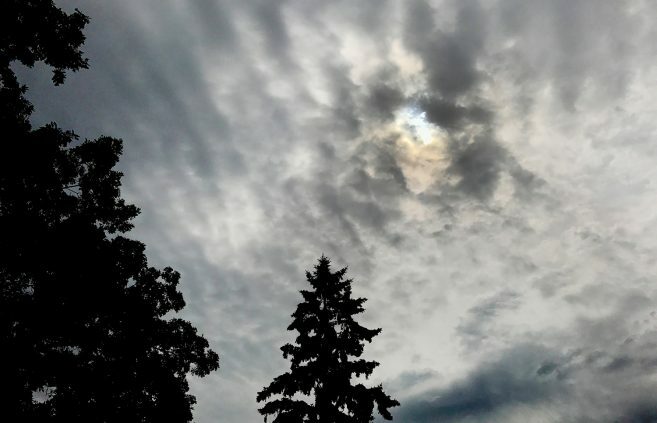 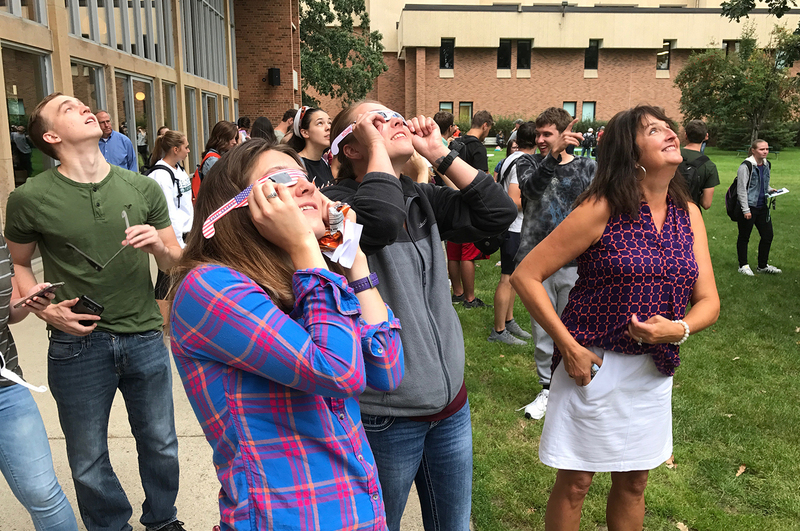 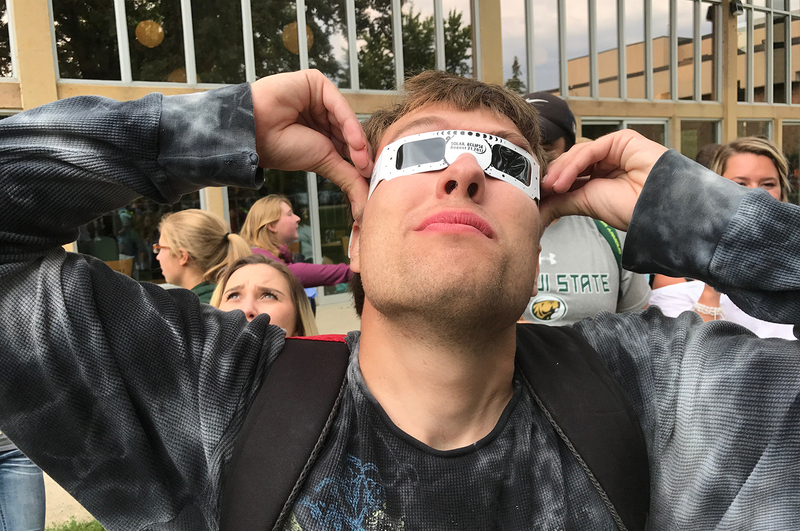 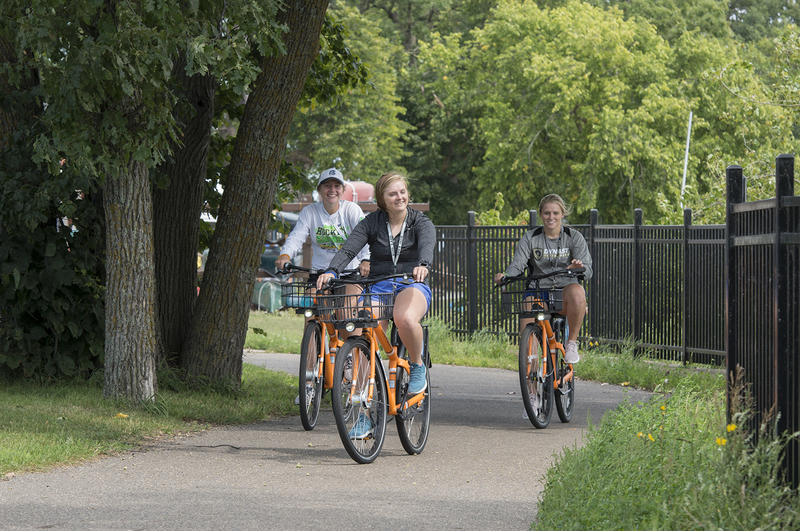 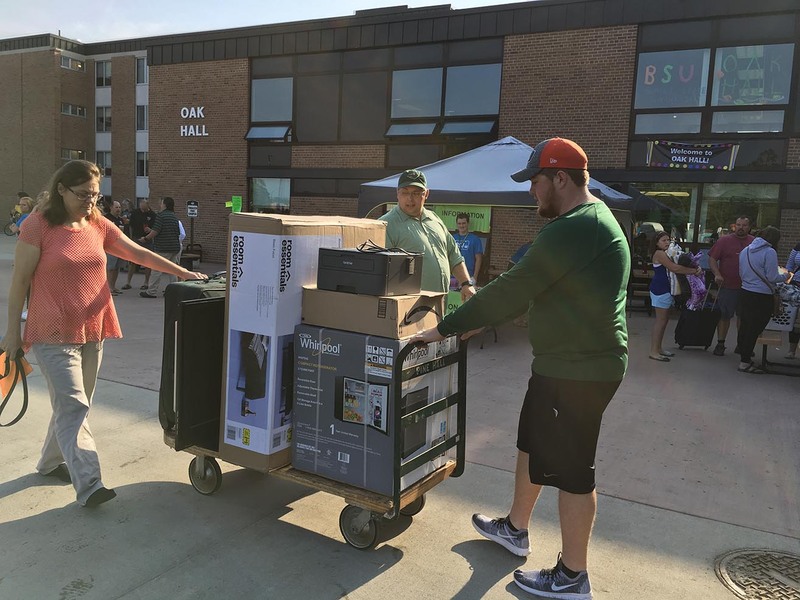 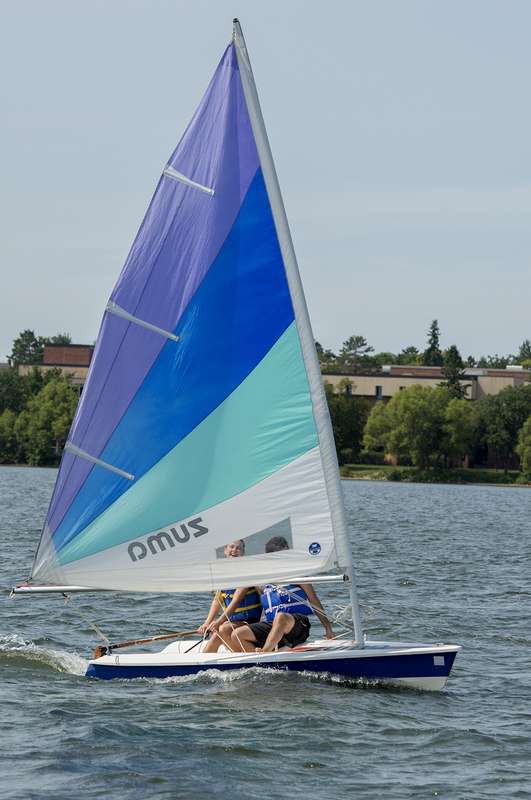 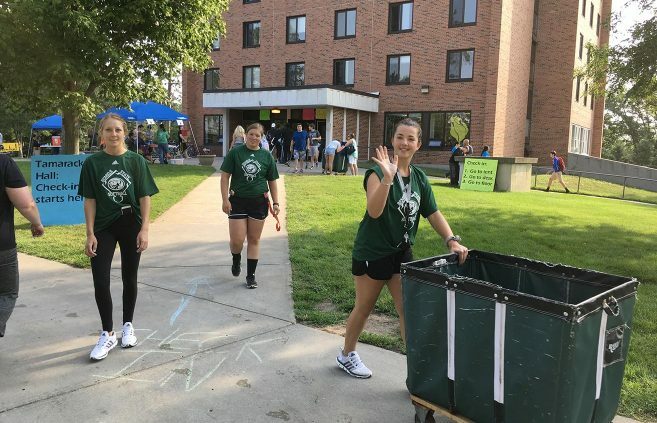 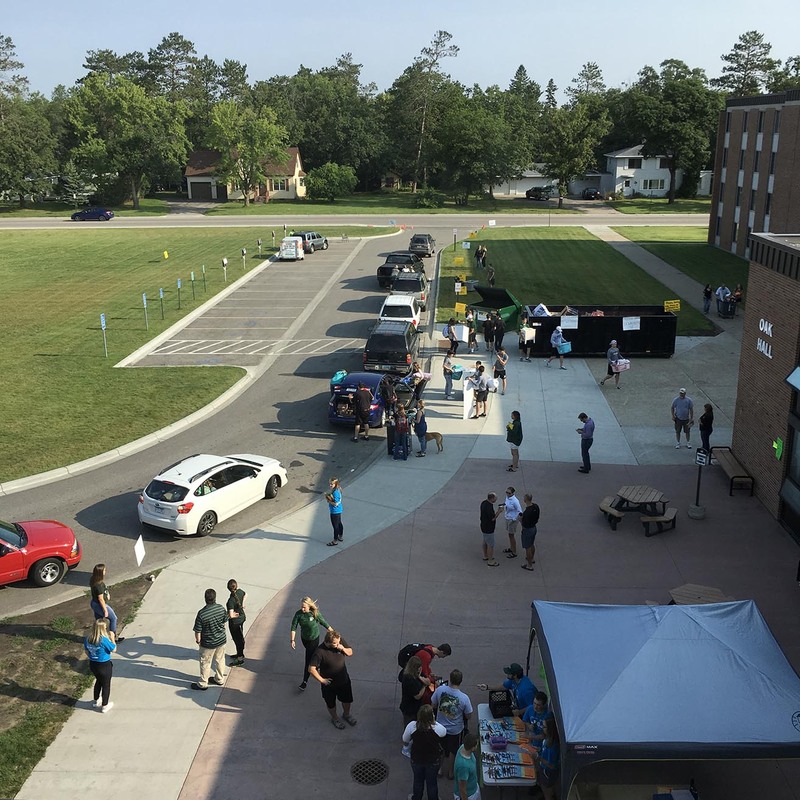 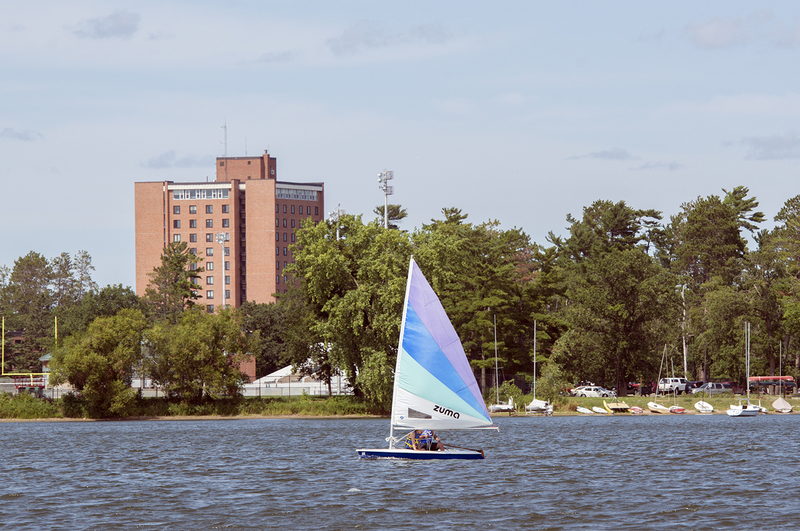 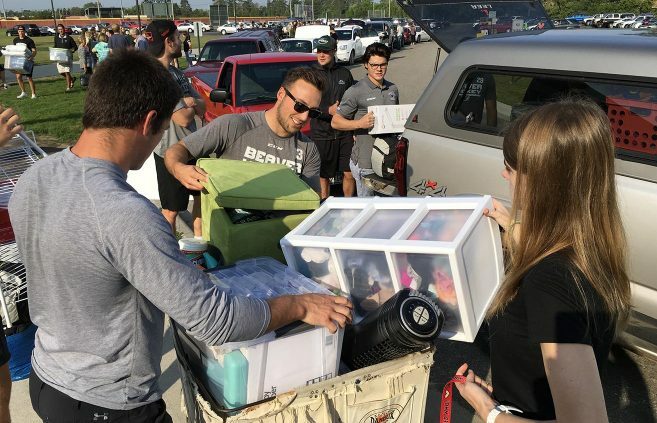 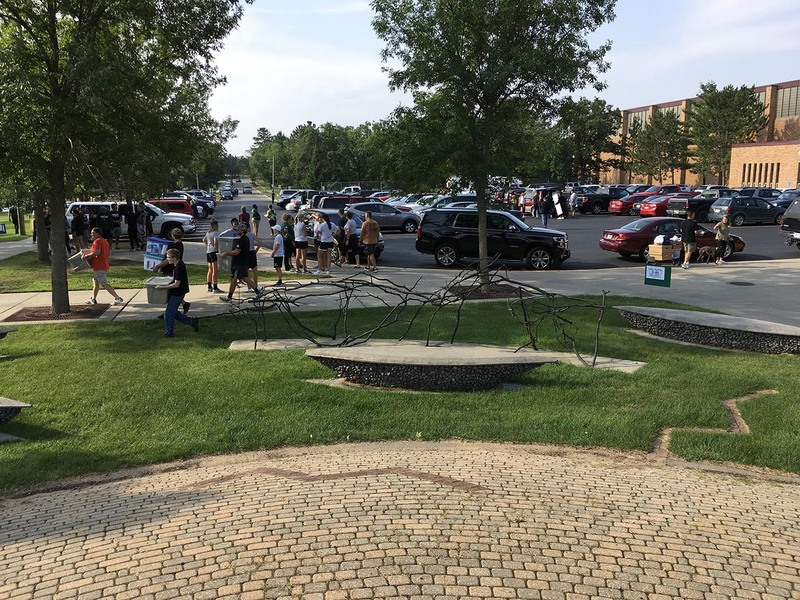 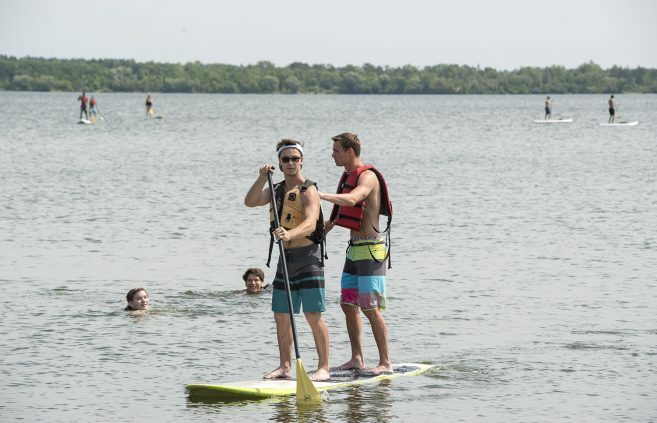 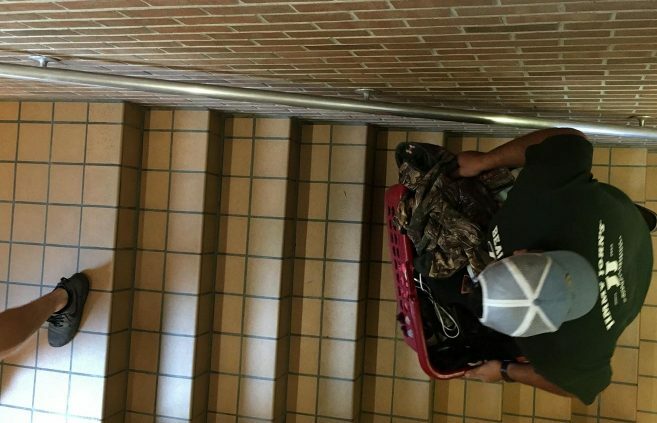 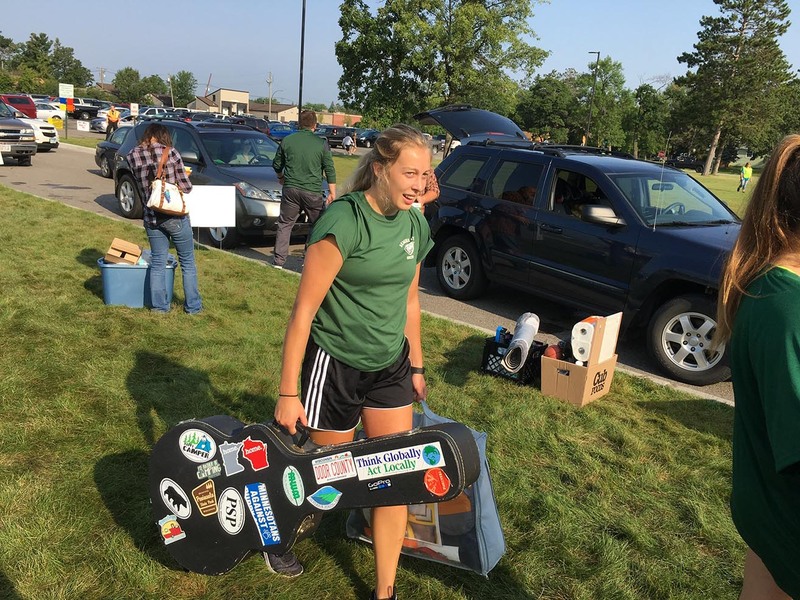 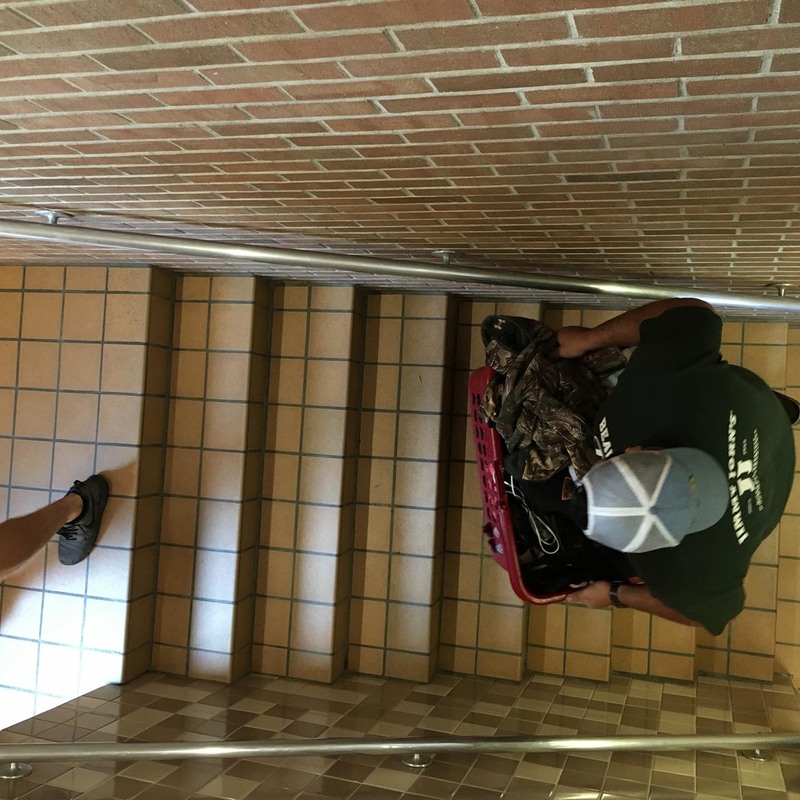 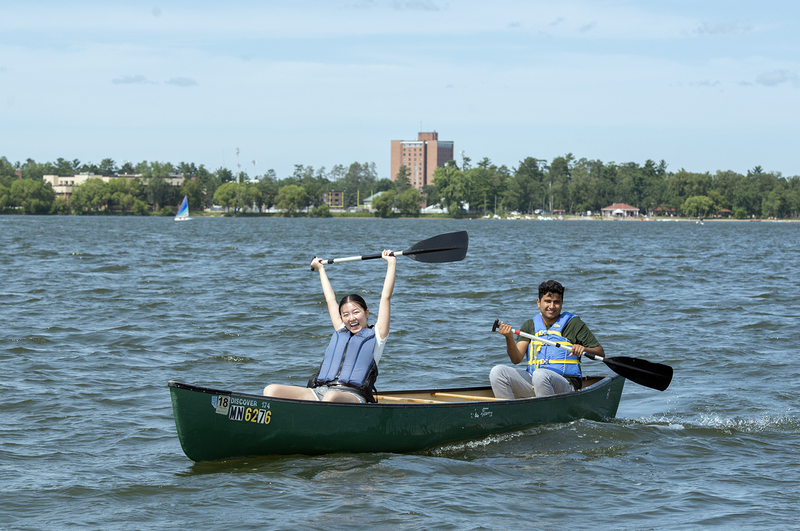 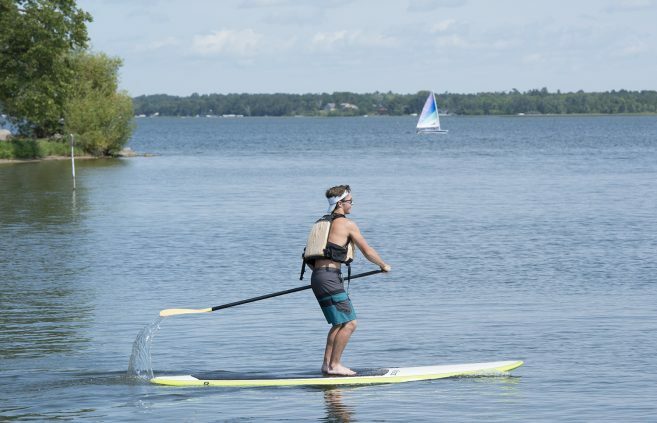 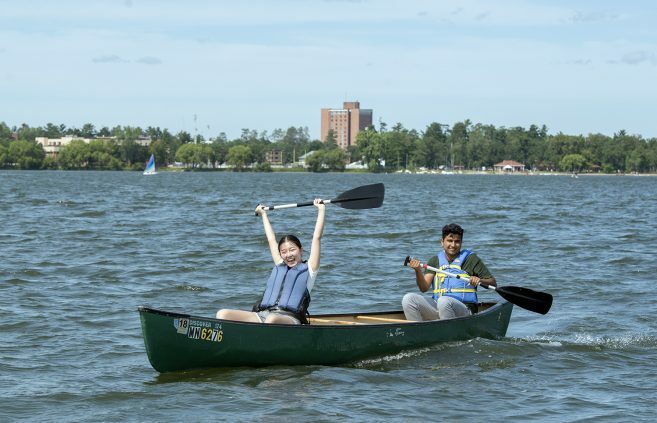 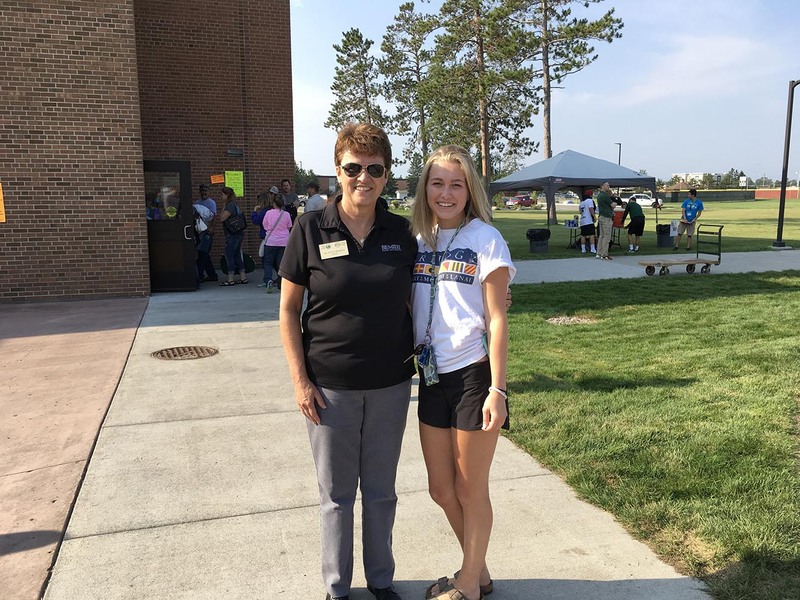 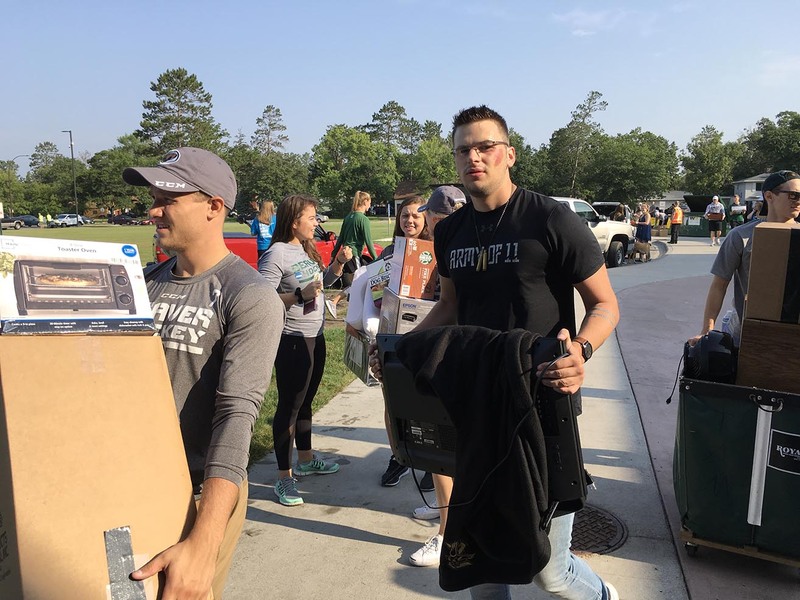 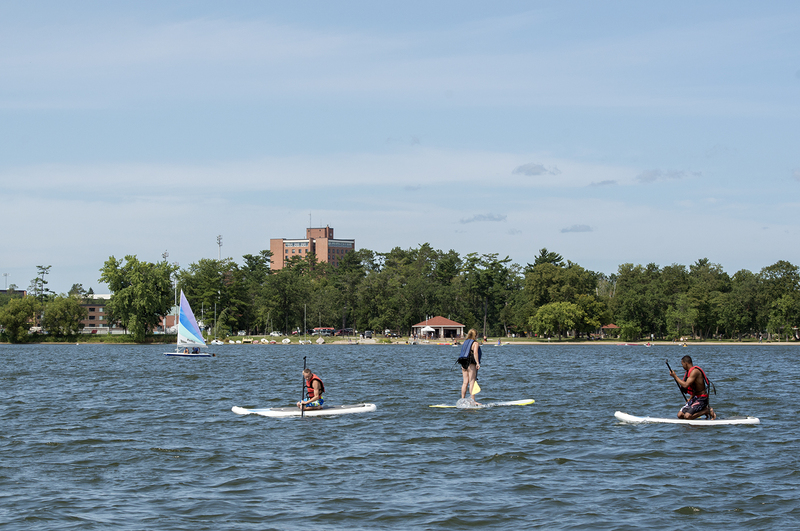 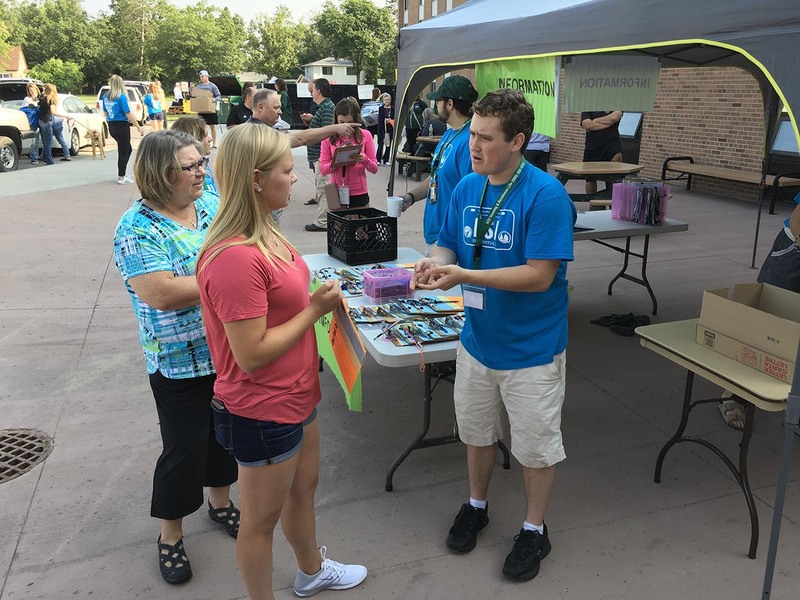 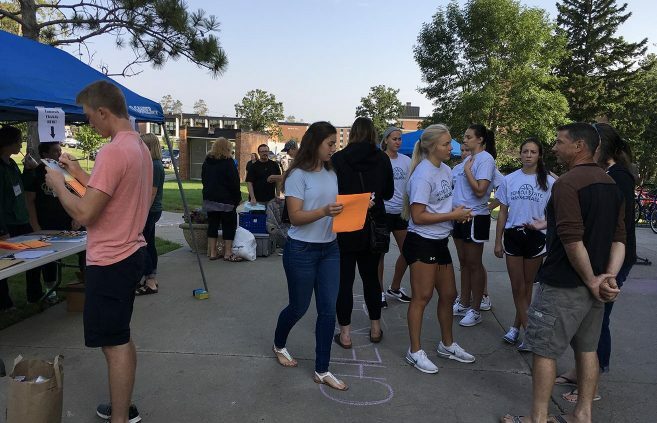 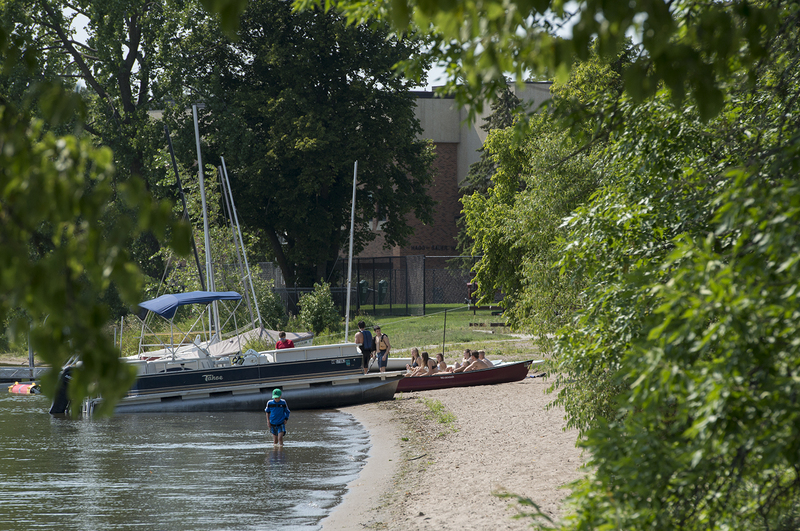 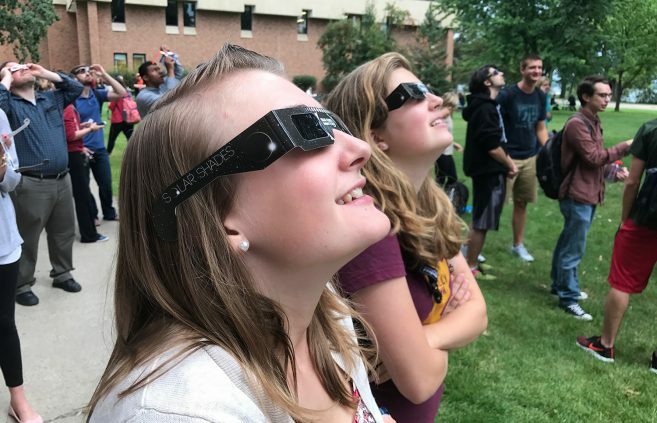 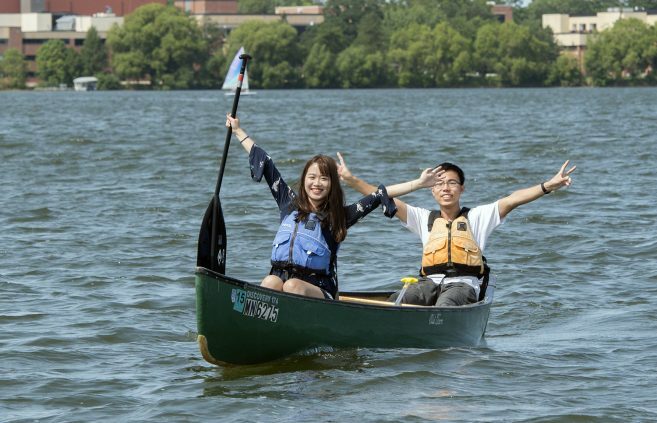 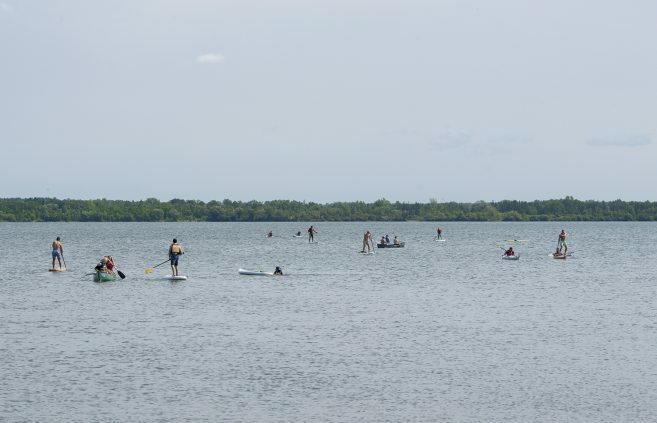 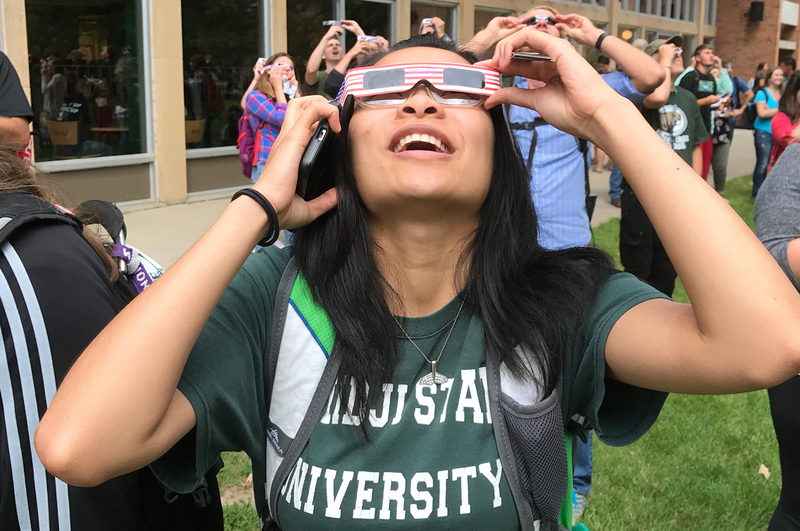 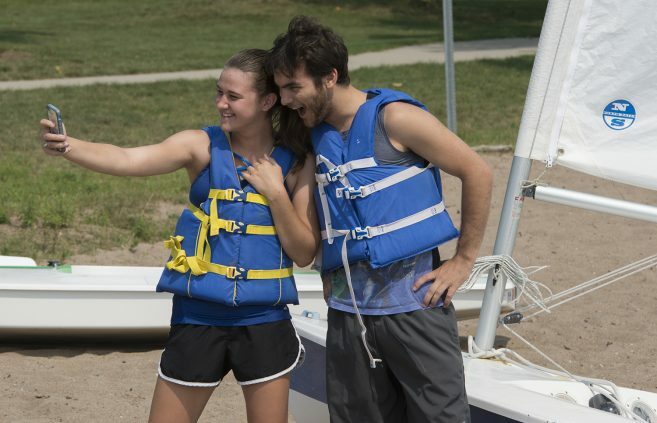 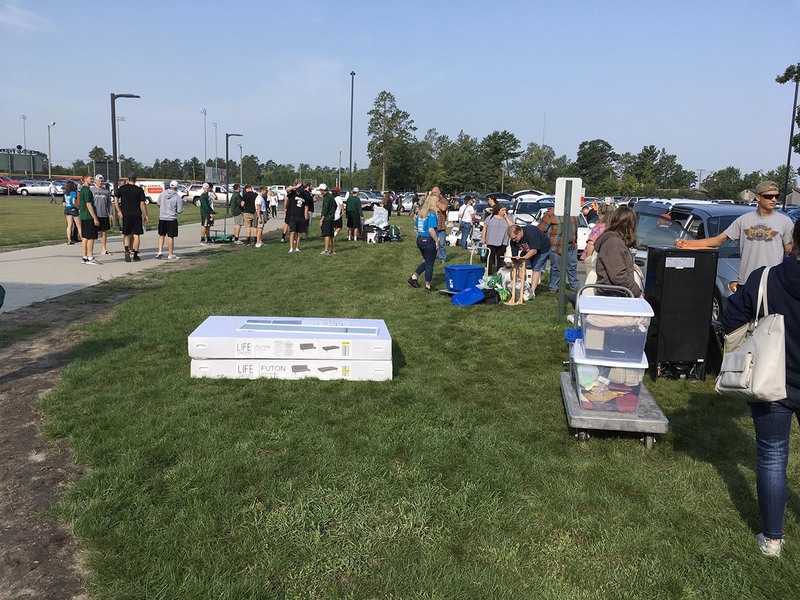 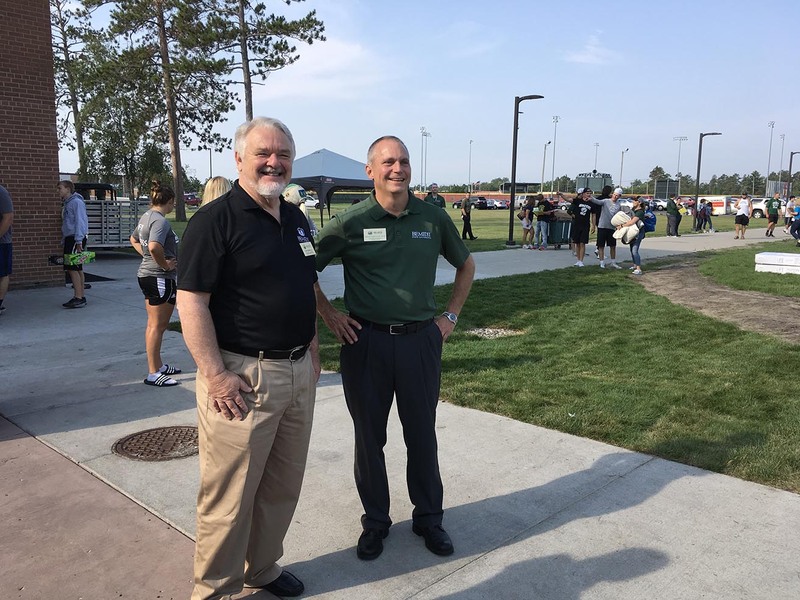 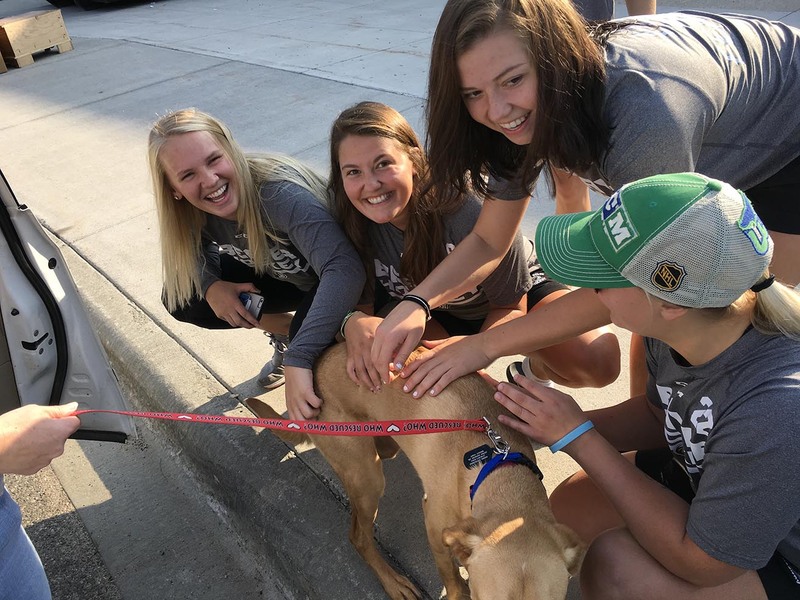 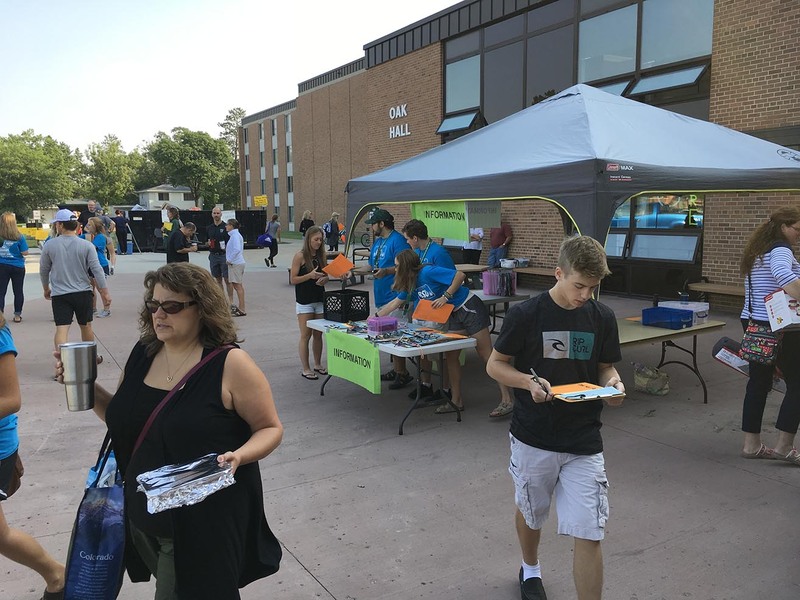 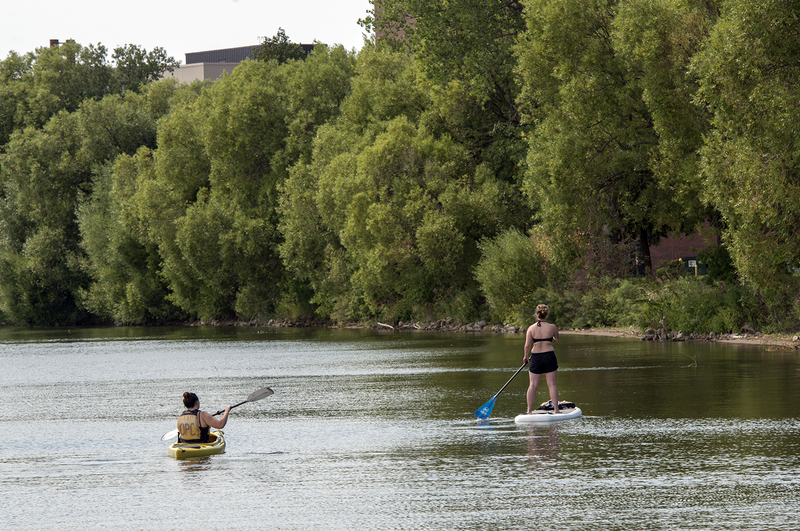 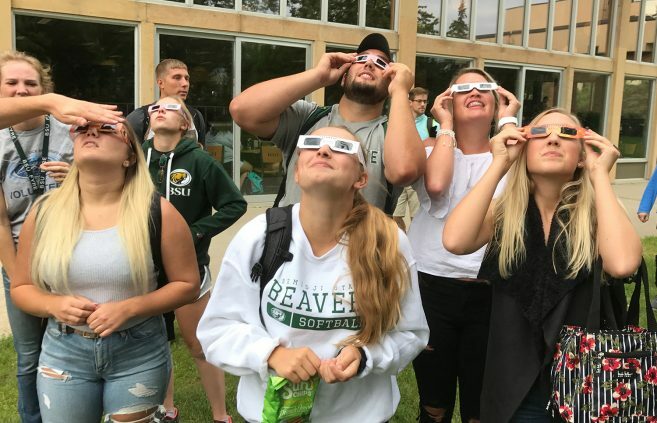 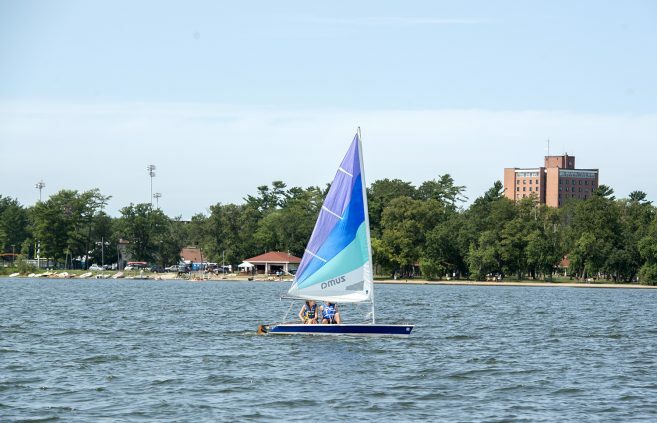 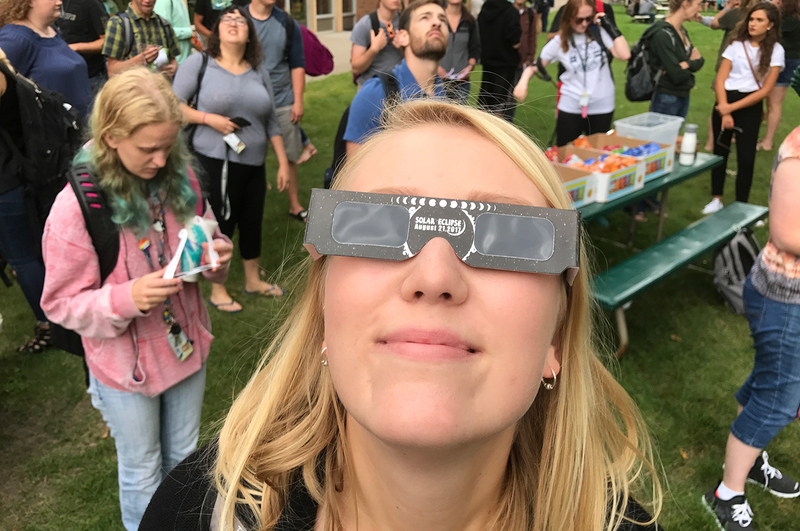 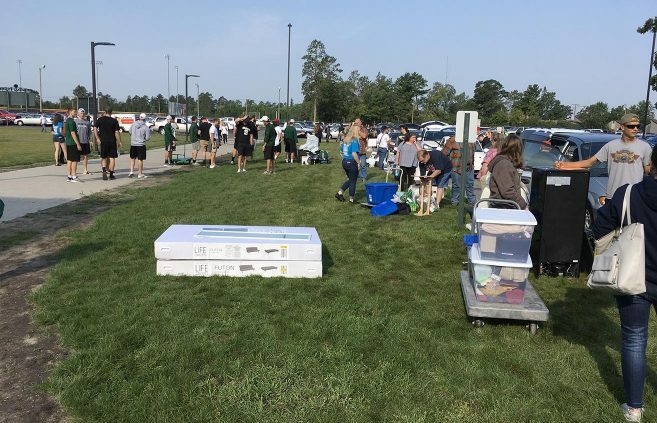 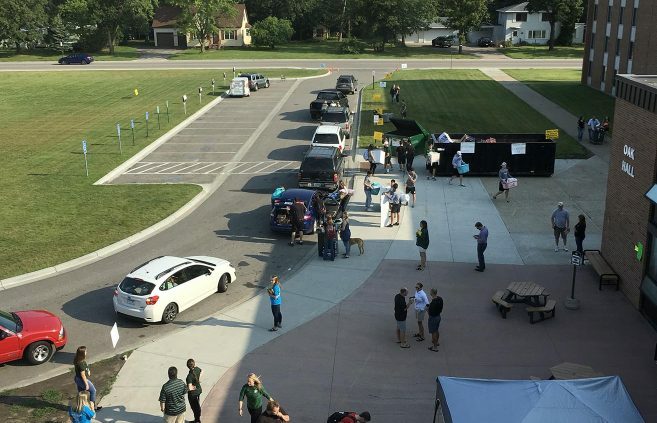 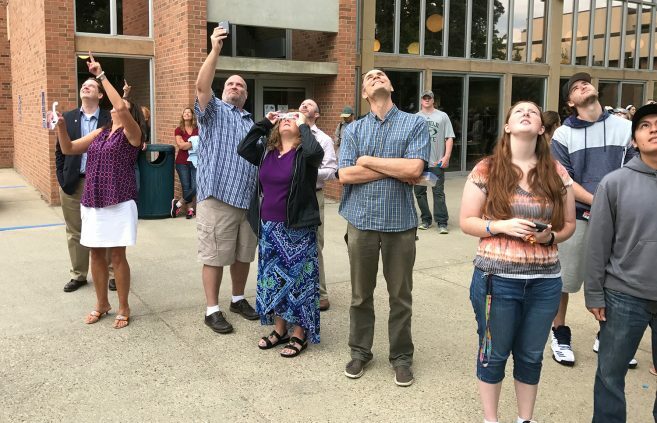 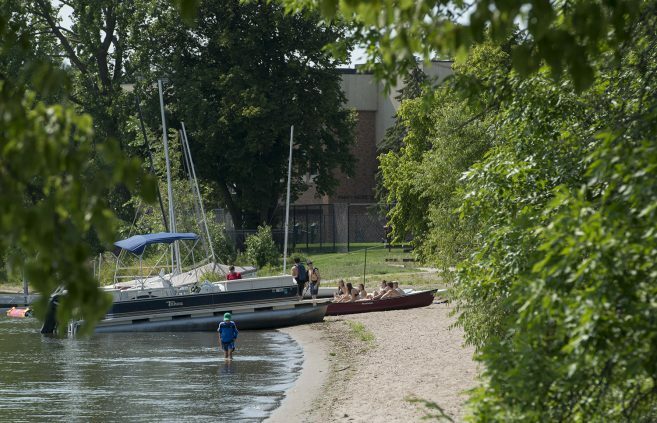 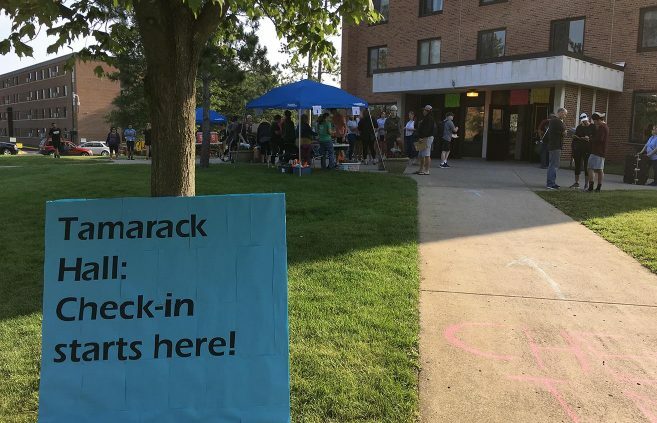 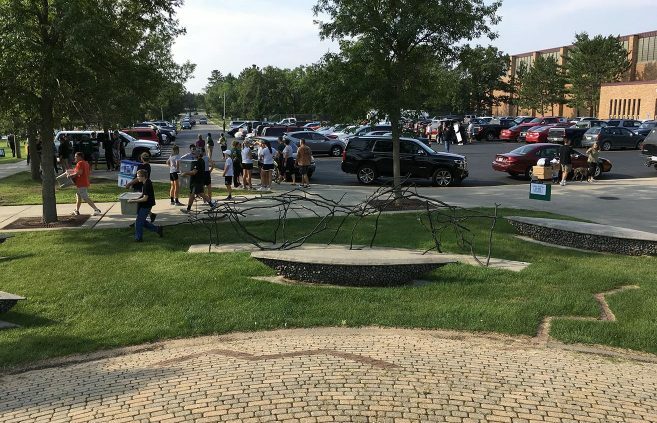 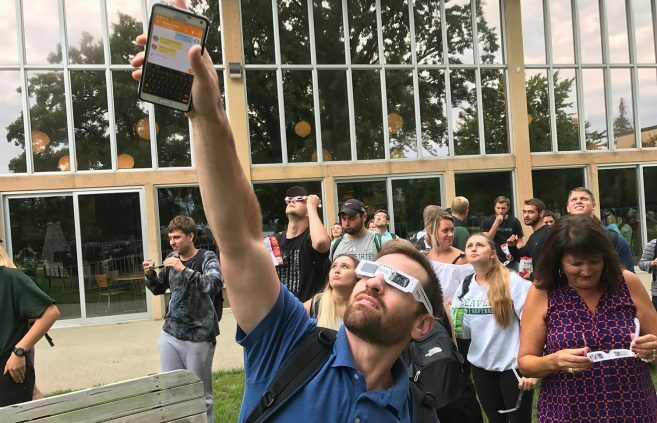 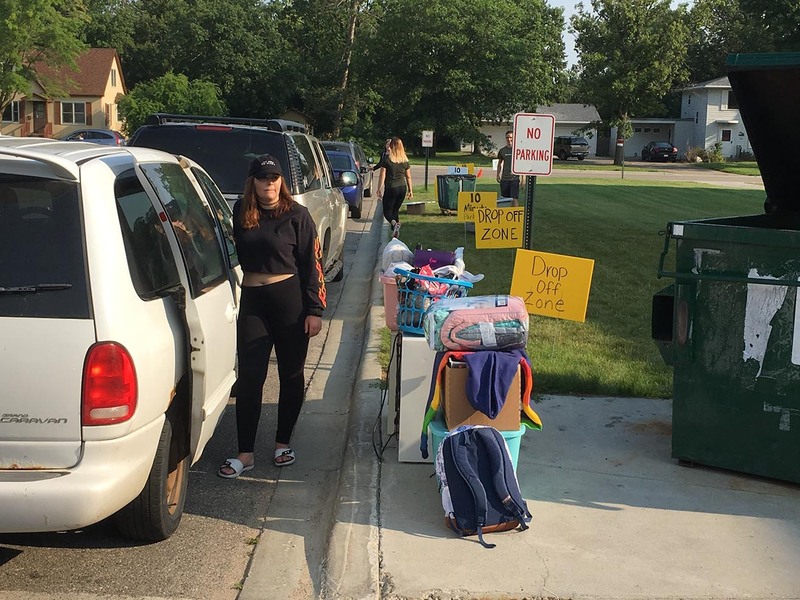 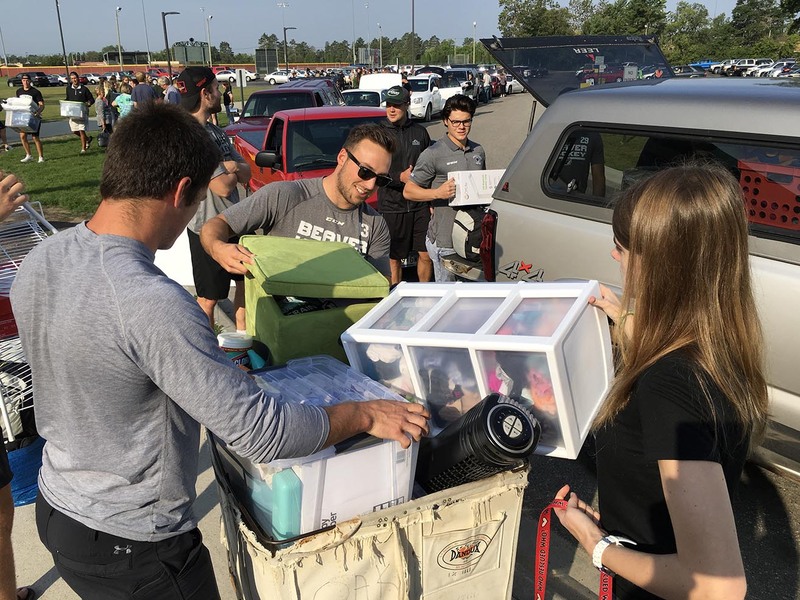 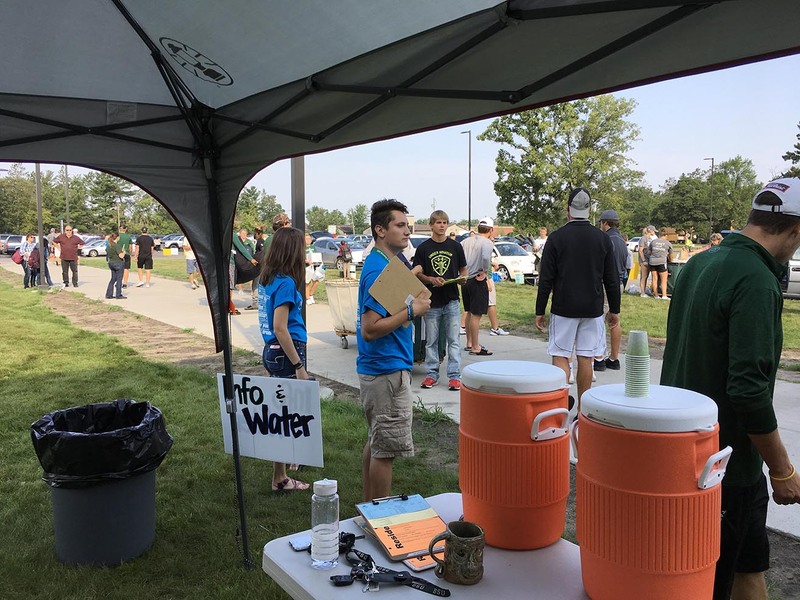 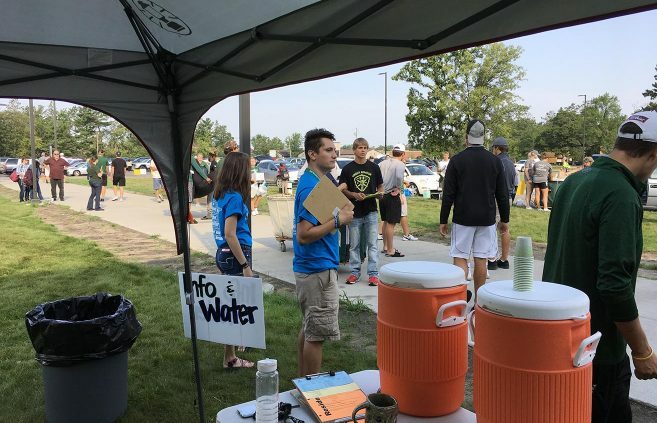 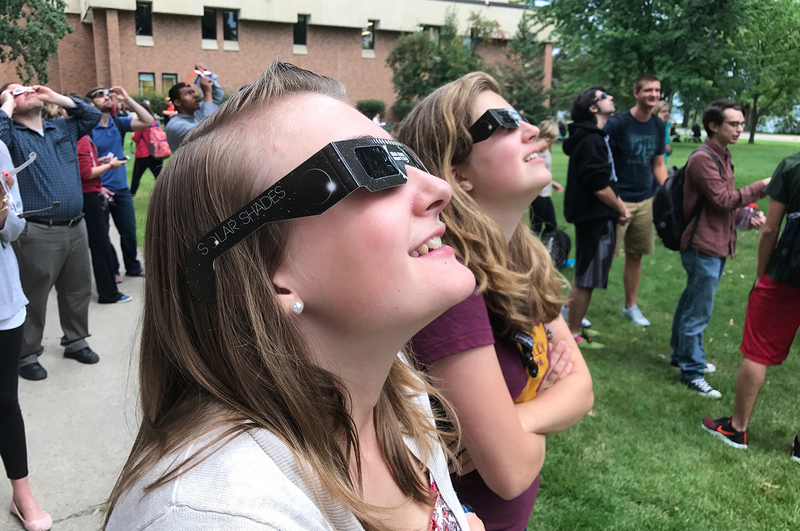 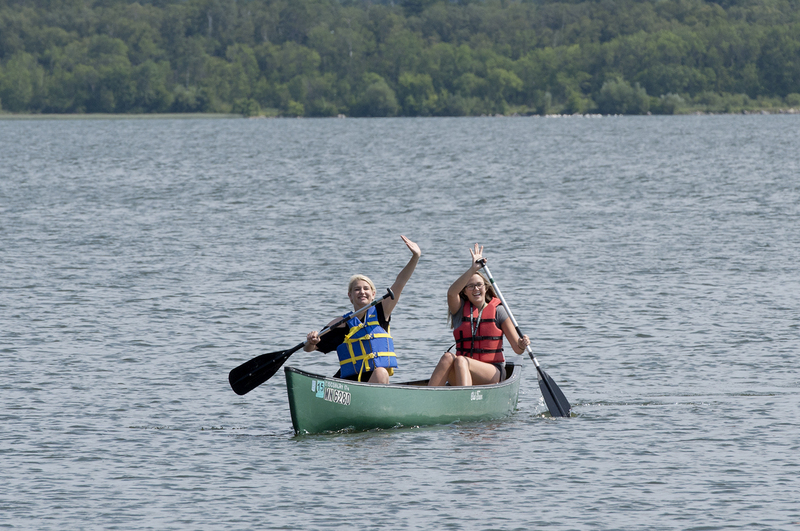 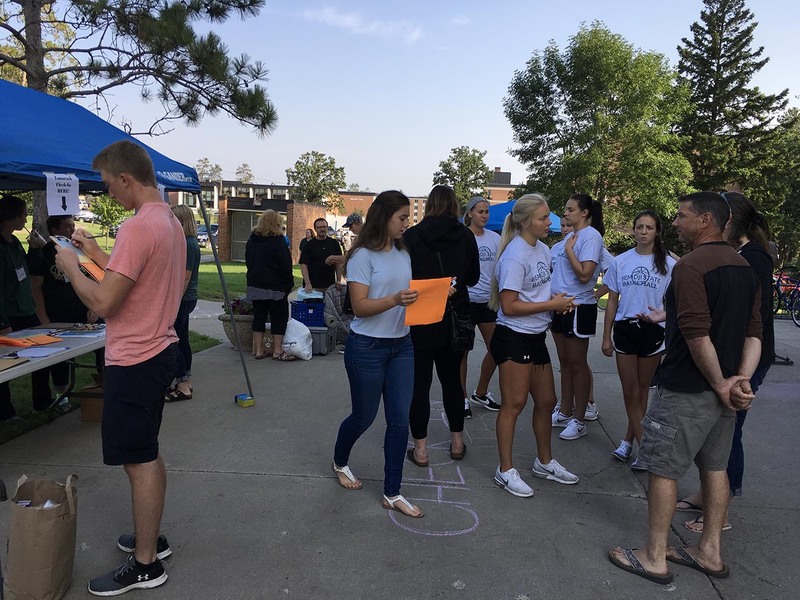 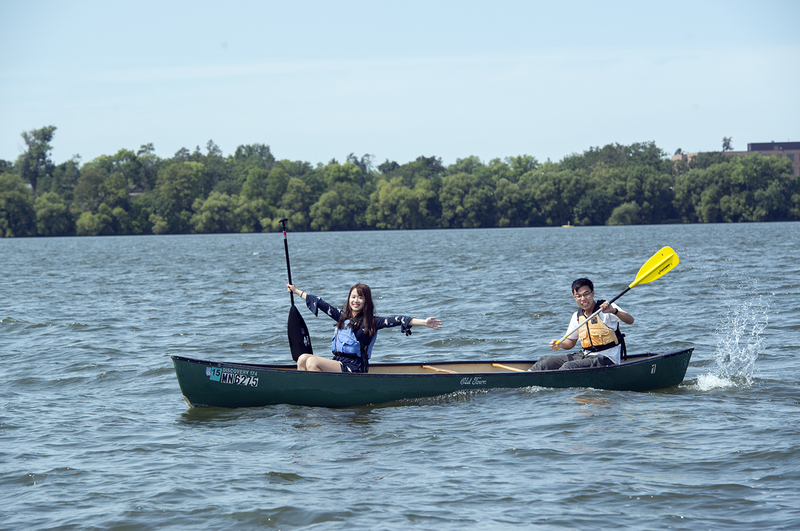 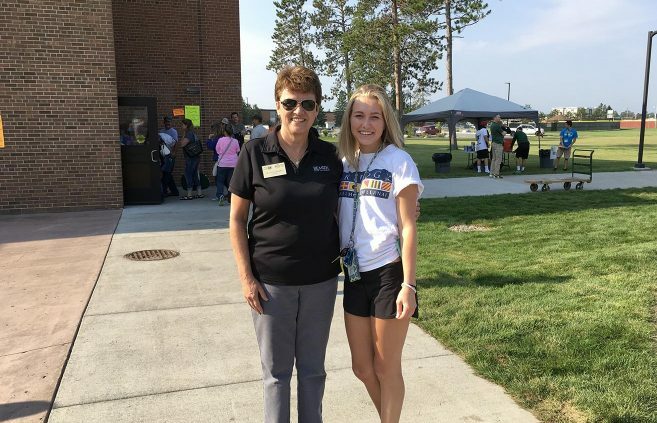 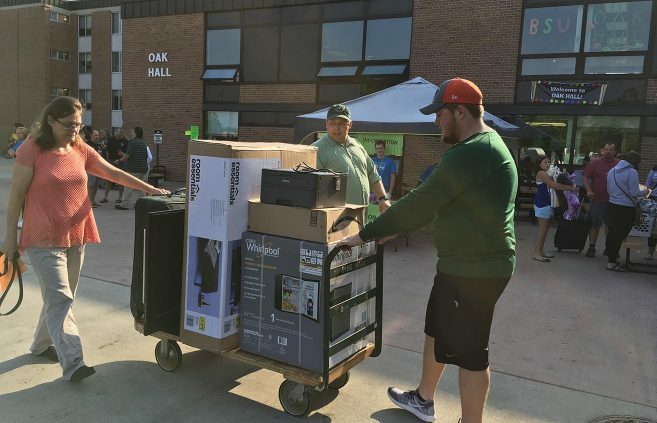 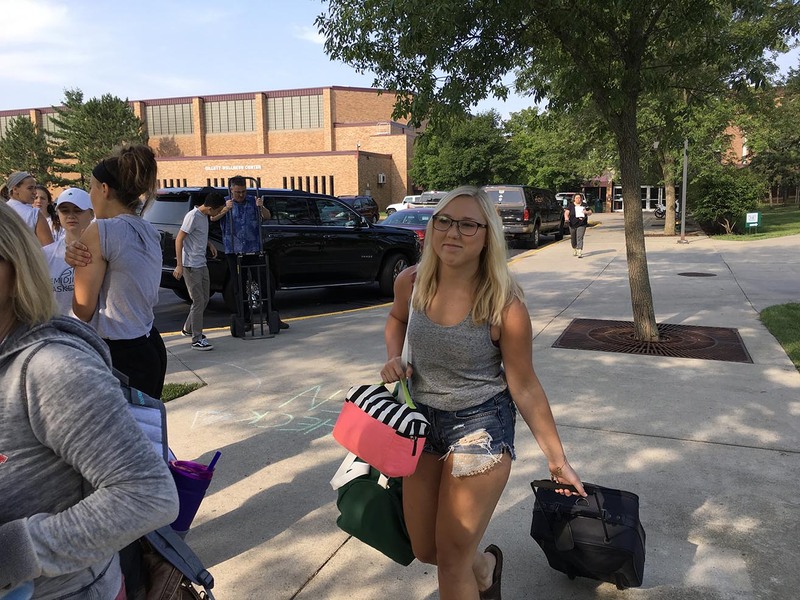 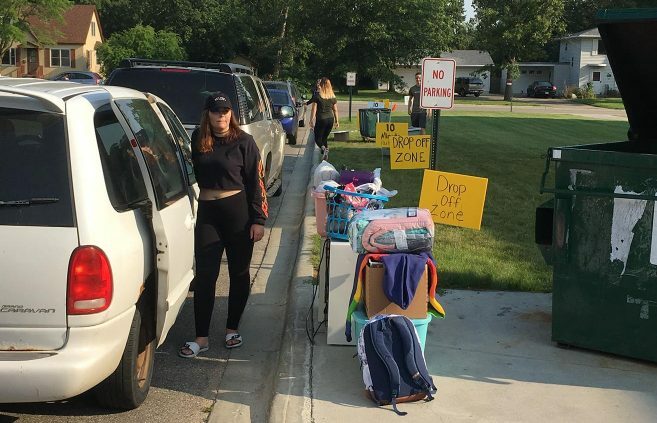 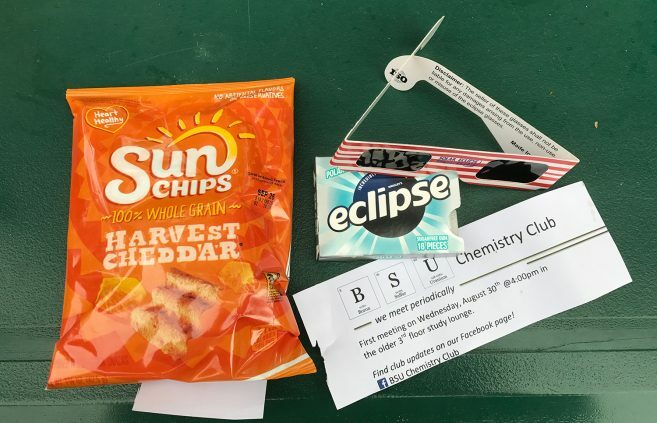 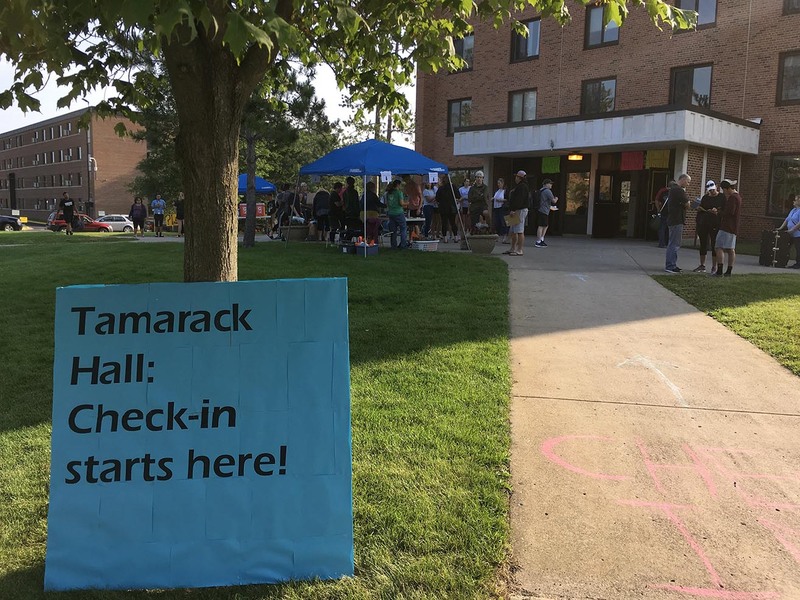 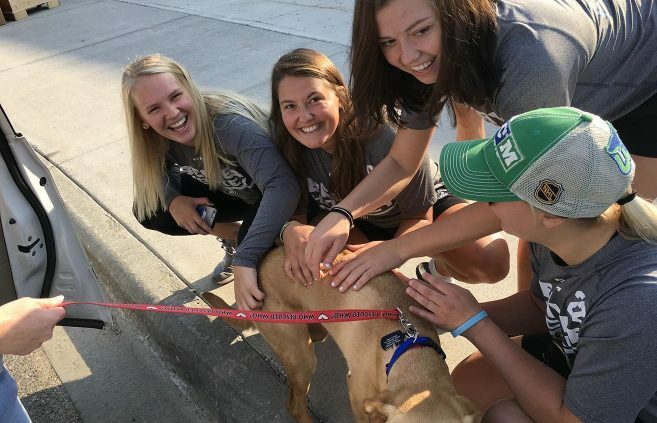 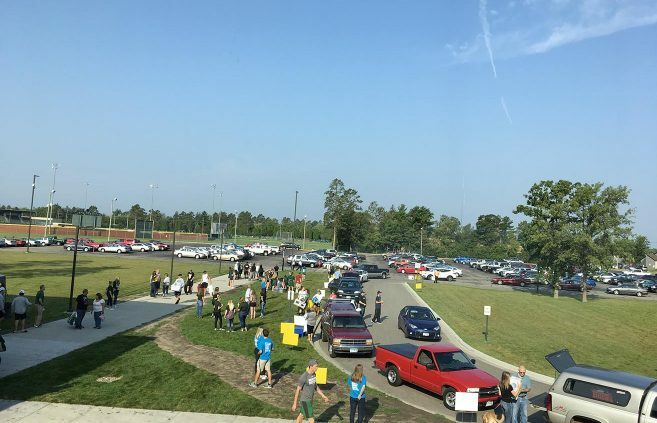 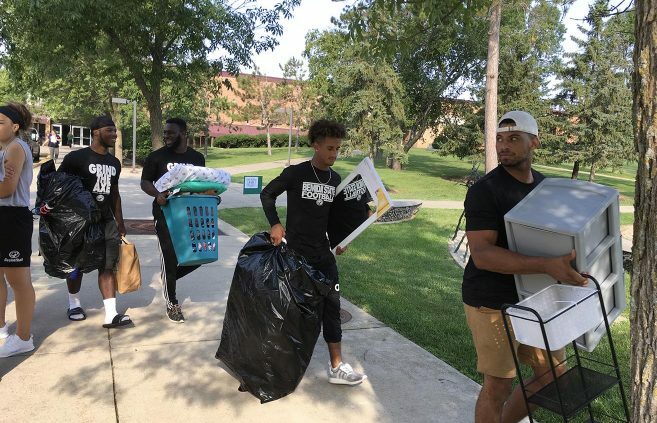 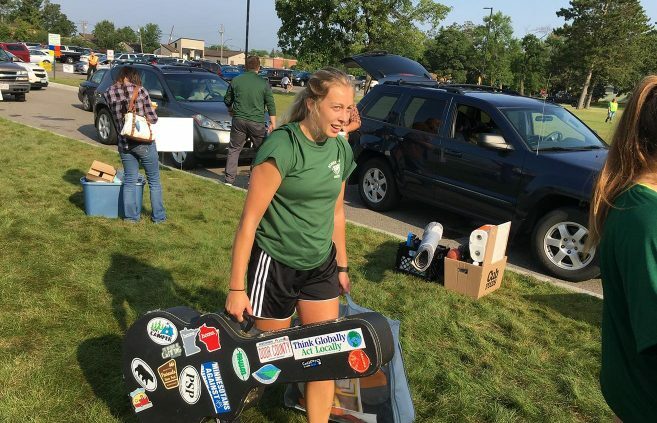 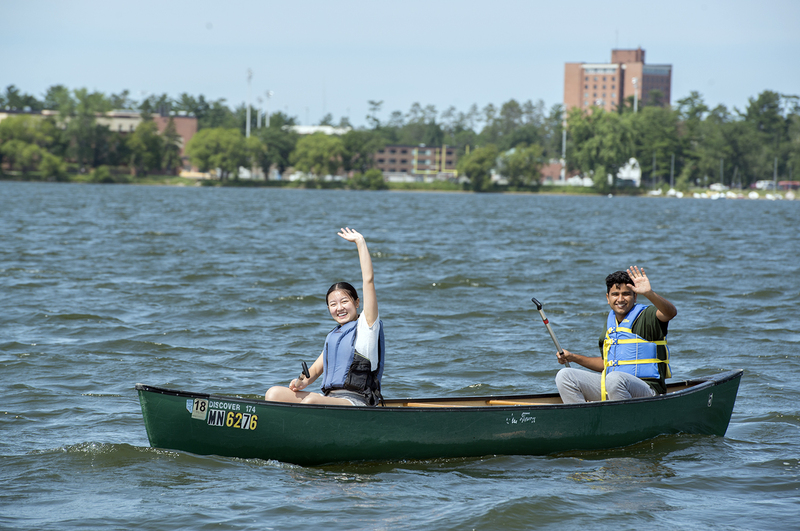 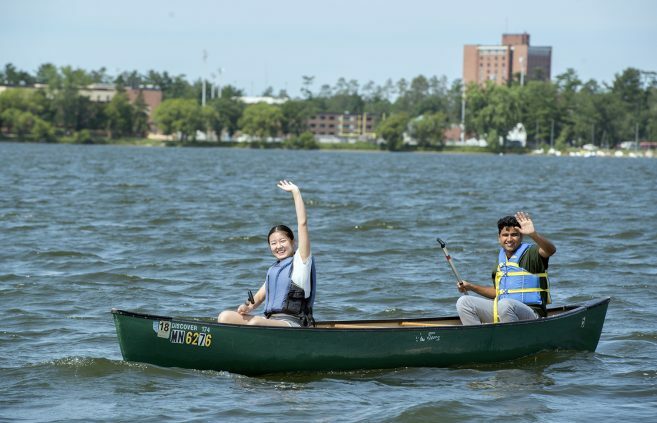 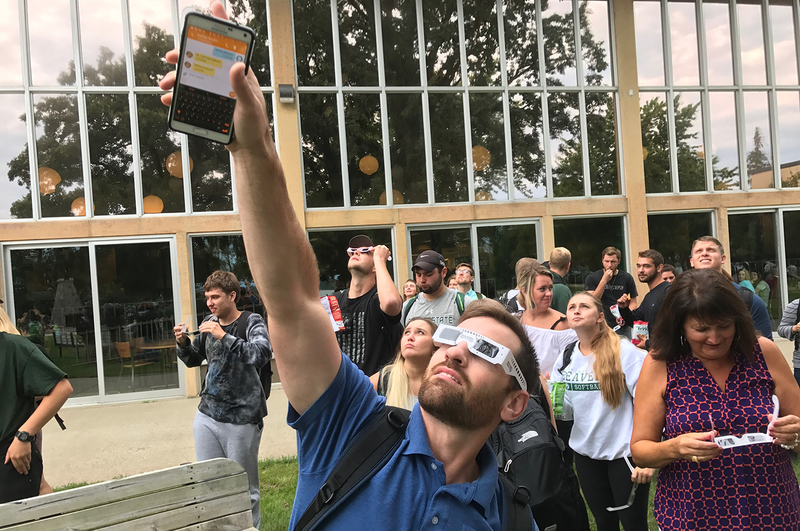 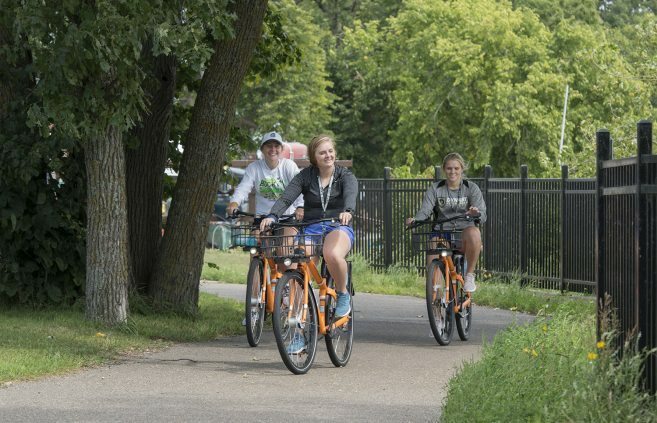 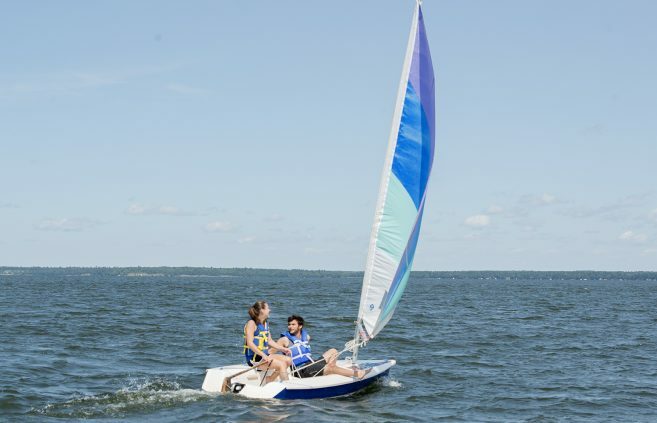 New students moved into their residence halls at Bemidji State University on Aug. 18, signifying that summer is over and the 2017-18 school year is officially upon us. 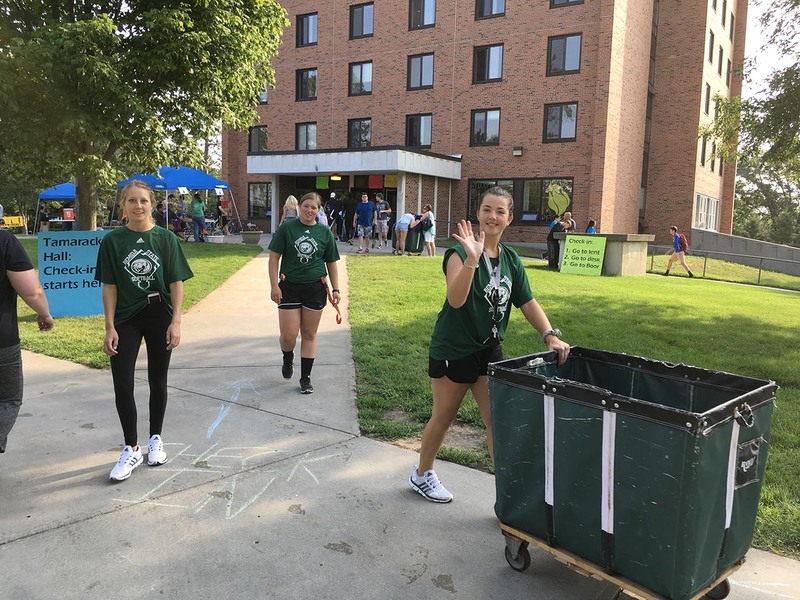 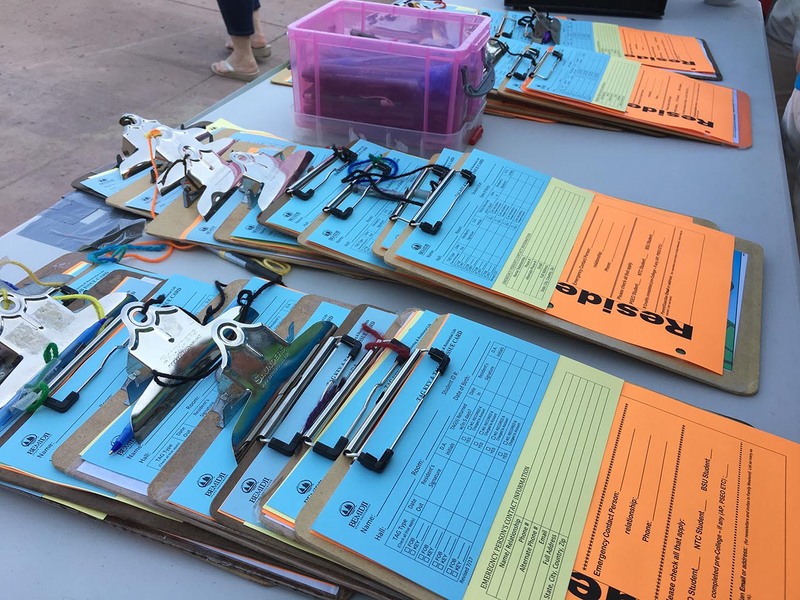 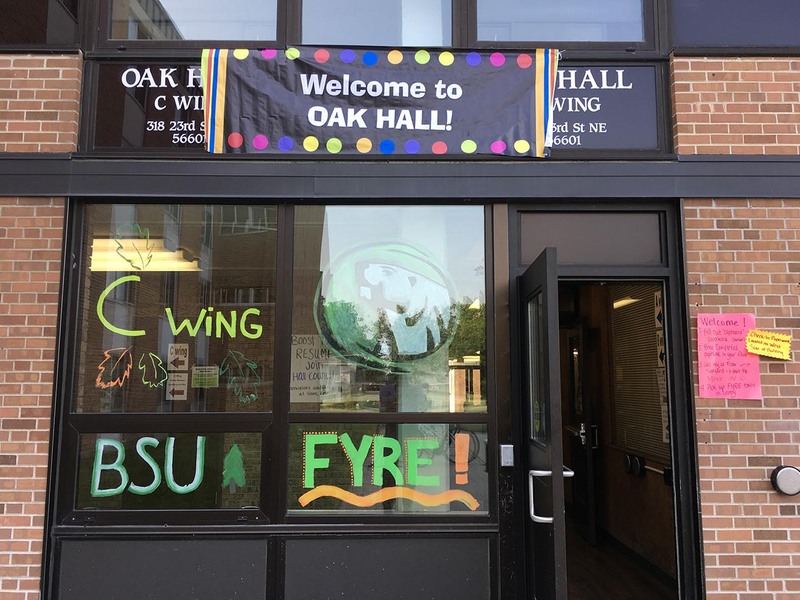 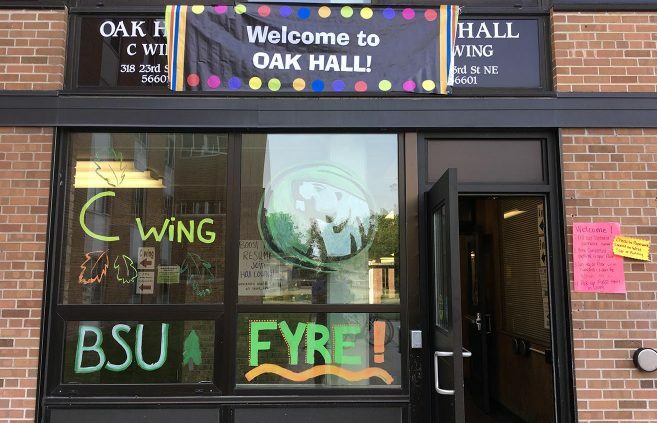 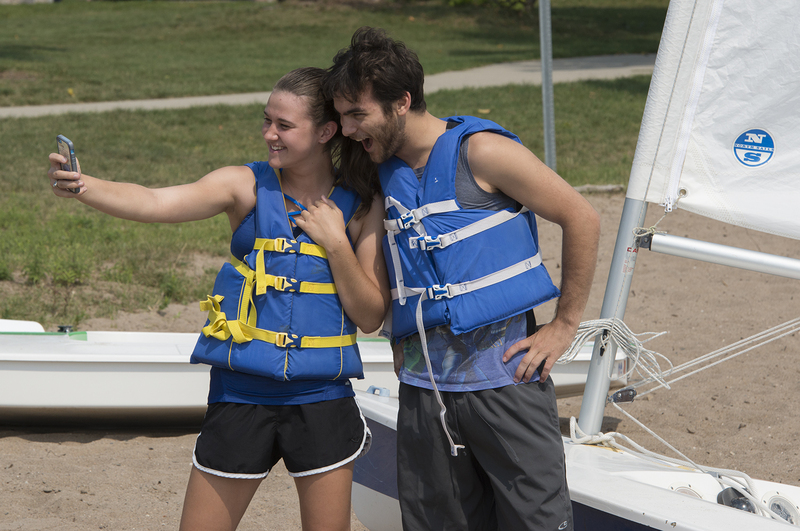 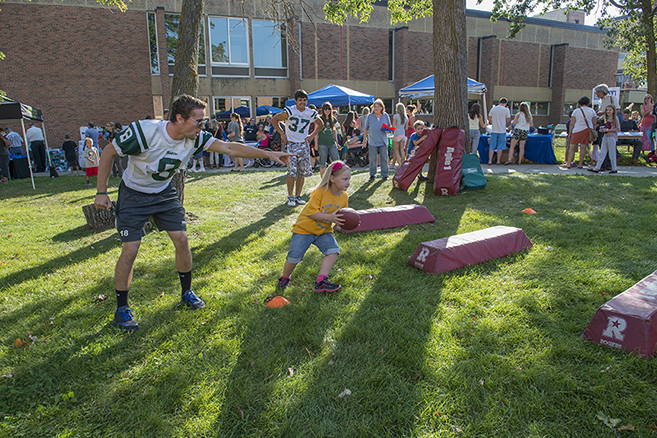 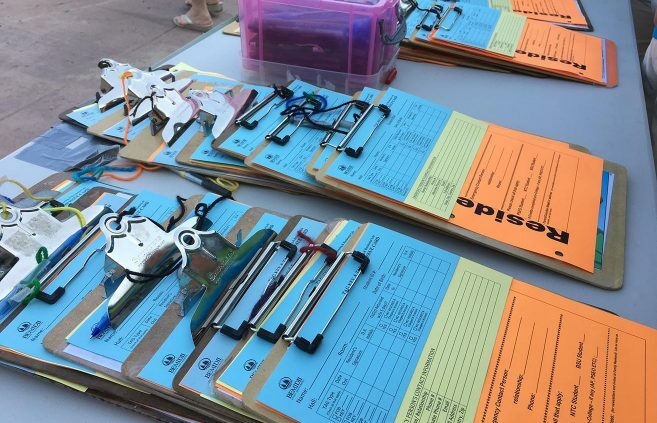 Move-in day kicks off a full slate of Orientation and Welcome Week activities. 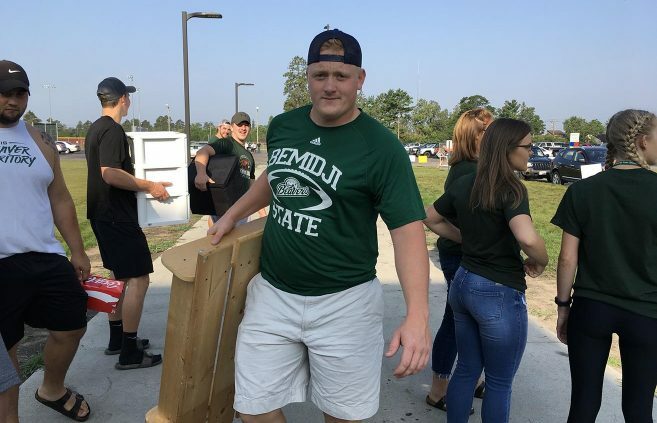 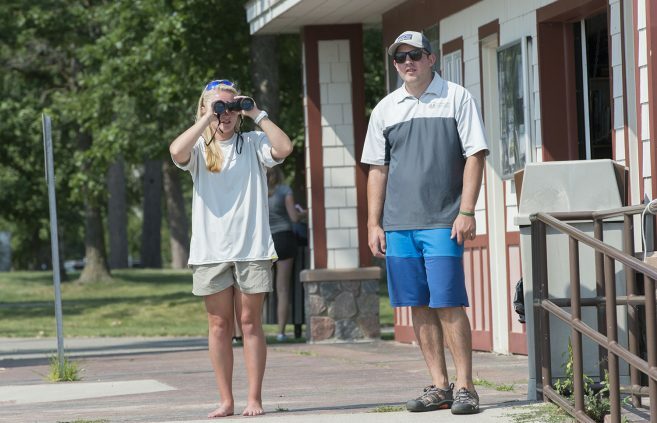 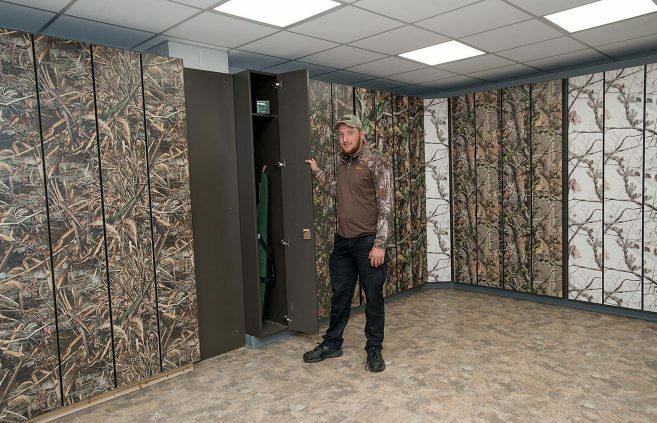 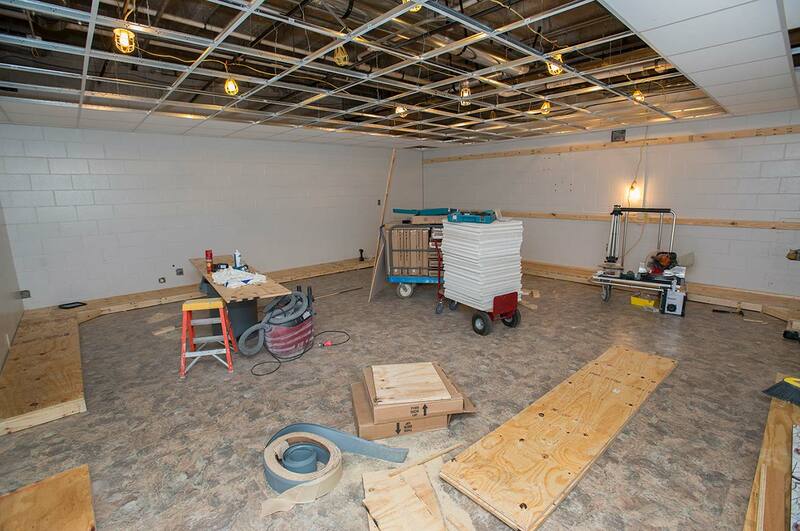 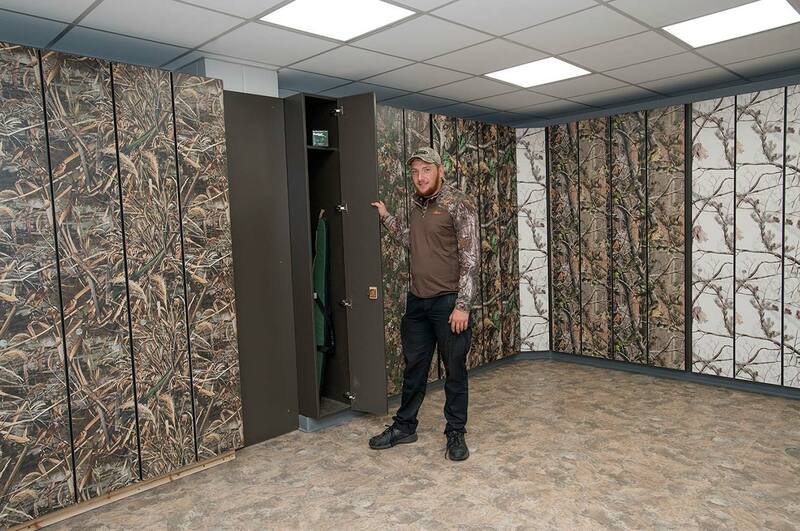 Bemidji State University is significantly expanding its on-campus weapon storage facilities to better serve its resident students who take advantage of the outdoor activities available in Minnesota’s north woods. Students, faculty, administrators and parents gathered in the BSU Gymnasium on Friday, Aug. 18, for the annual Convocation for new students. 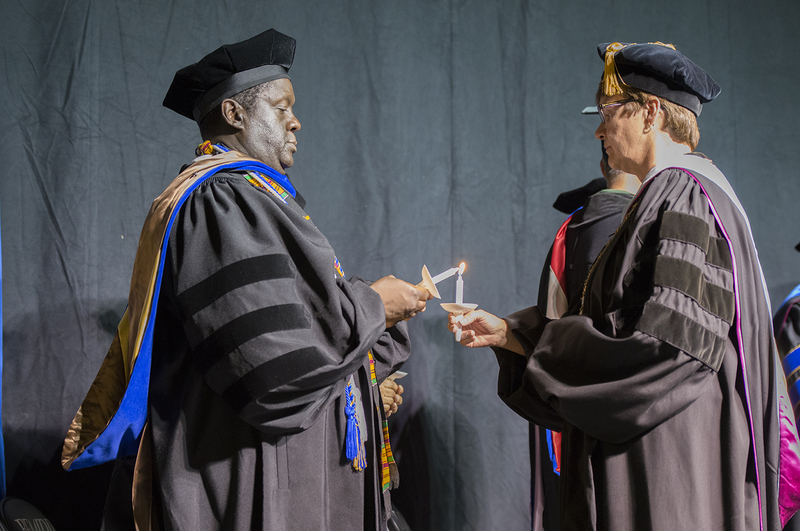 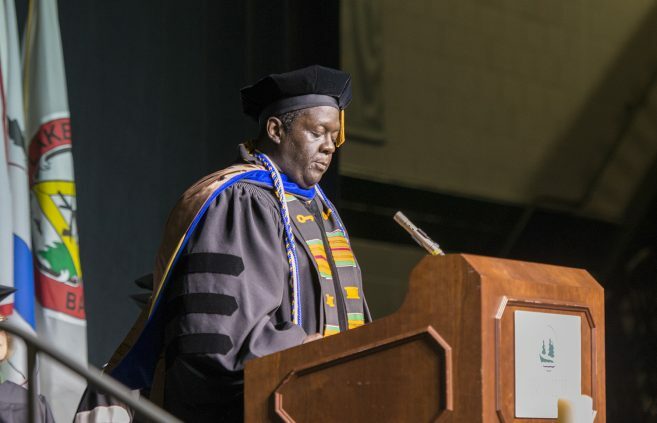 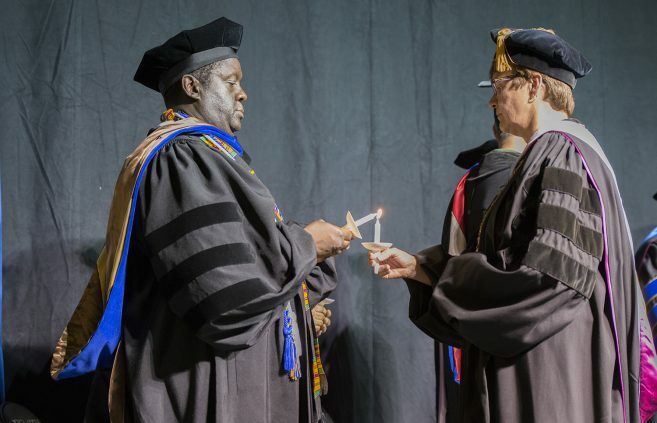 The traditional candle-lighting ceremony marks the beginning of each student’s academic journey as a member of the BSU community.